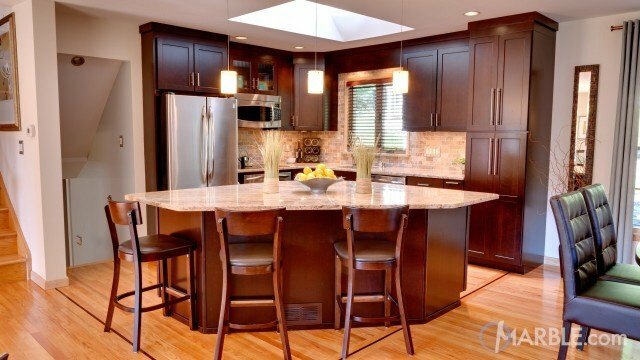 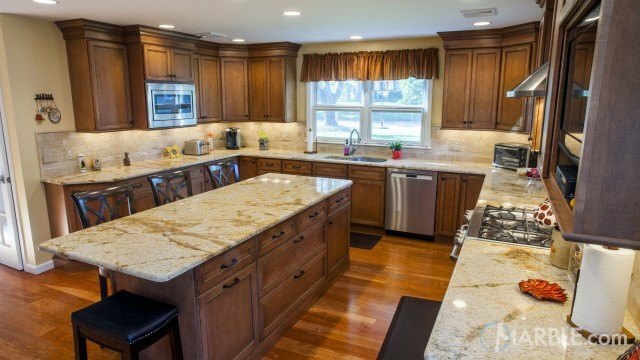 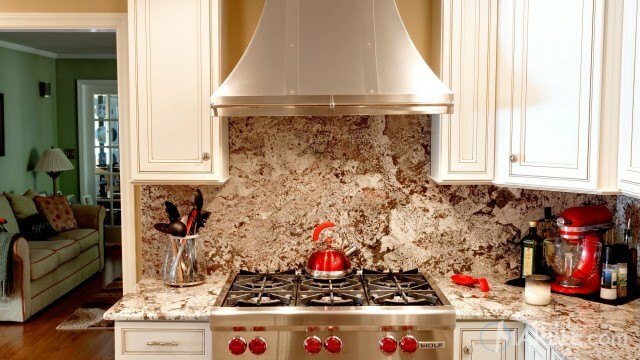 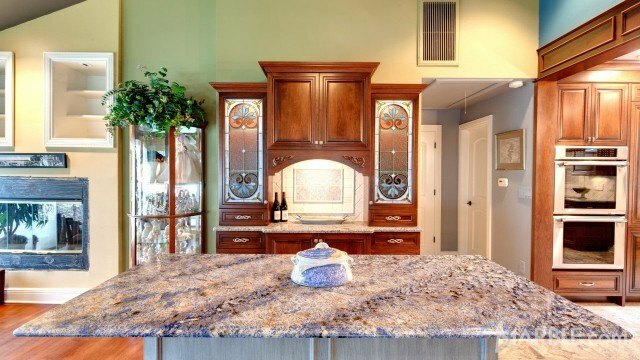 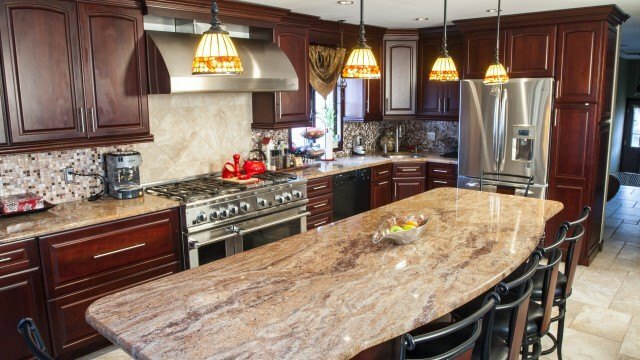 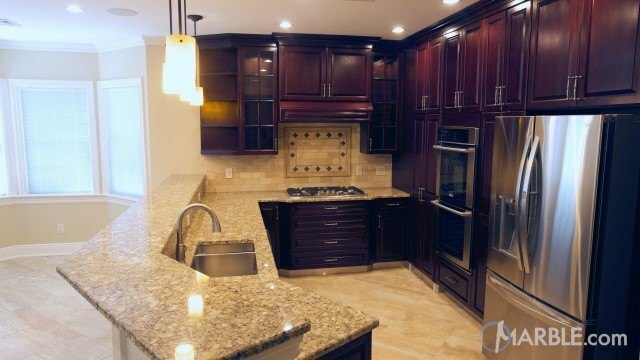 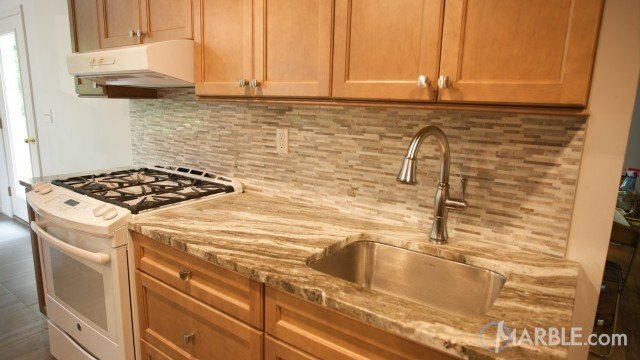 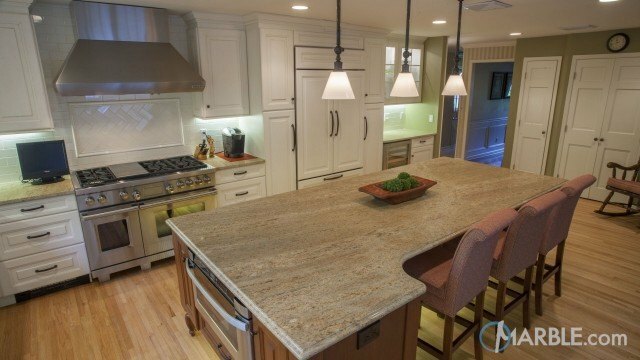 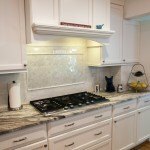 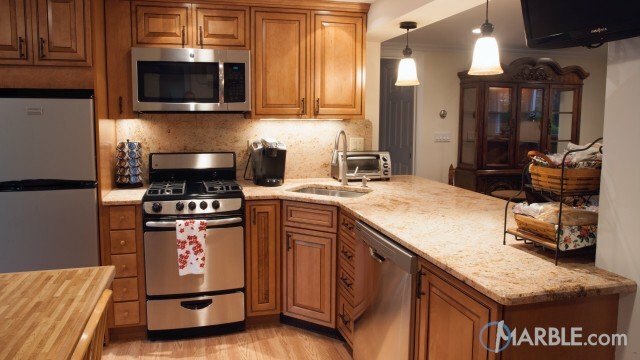 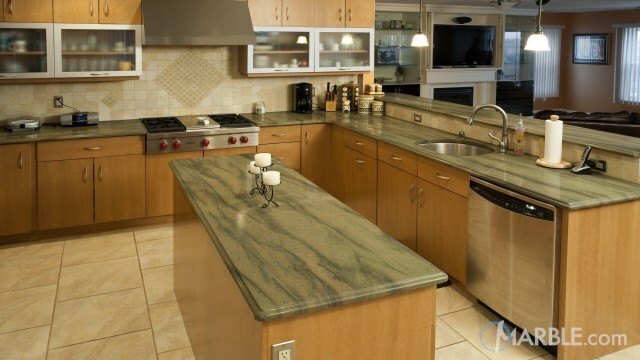 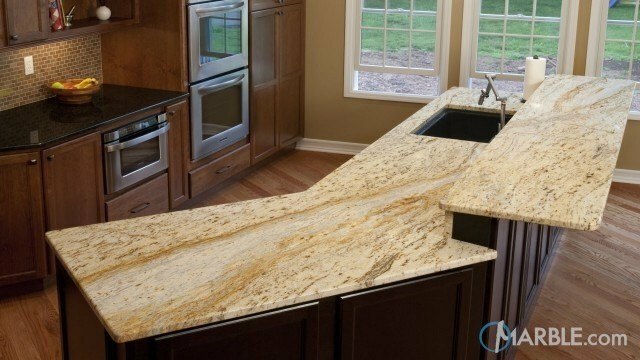 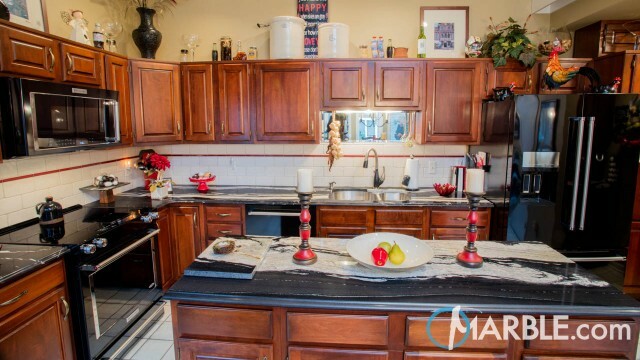 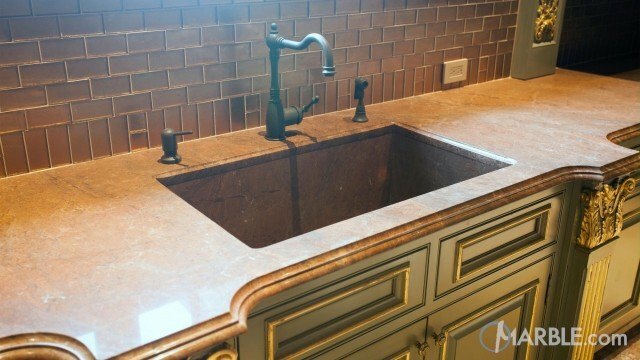 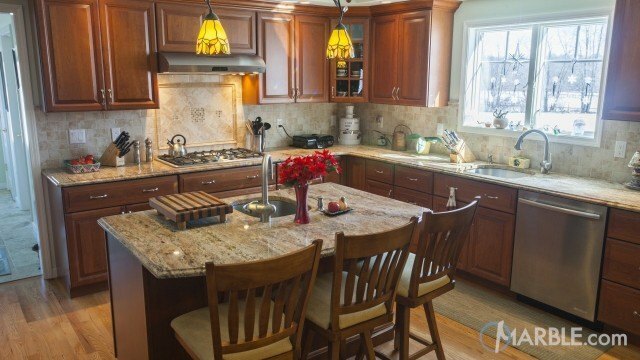 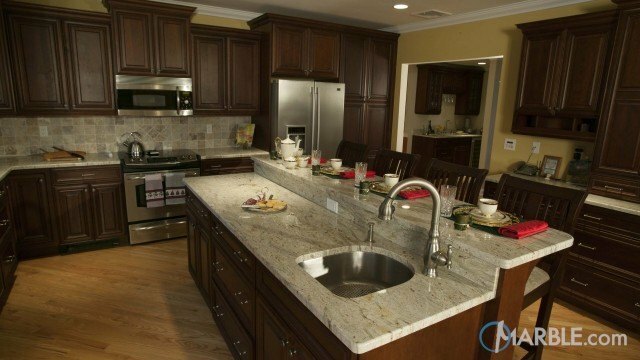 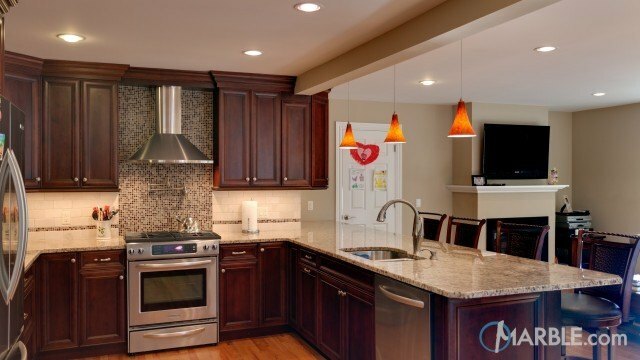 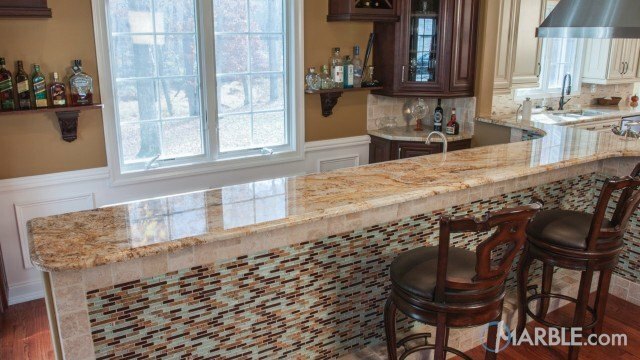 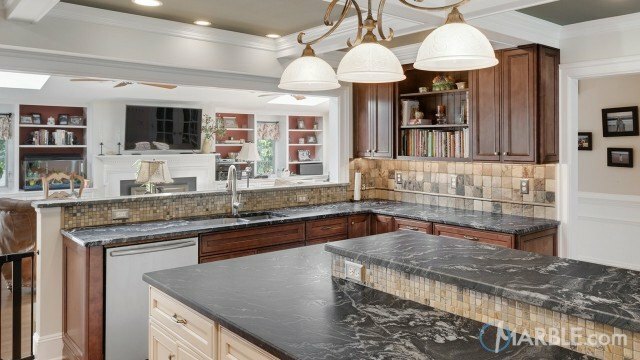 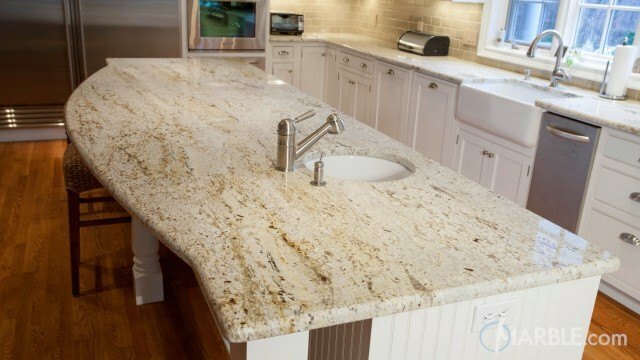 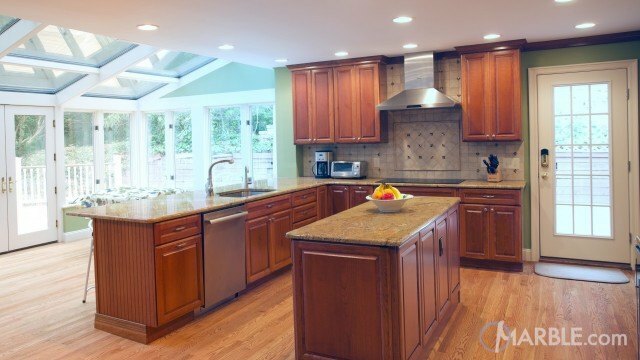 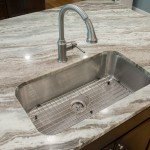 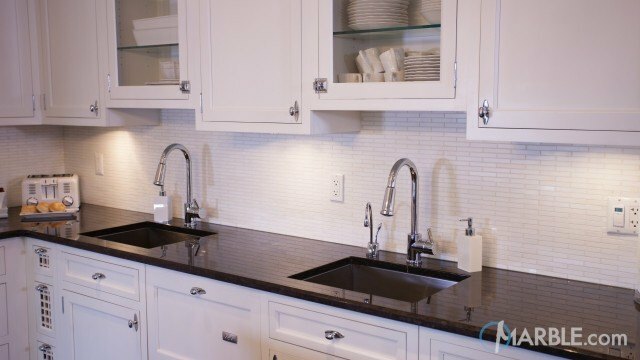 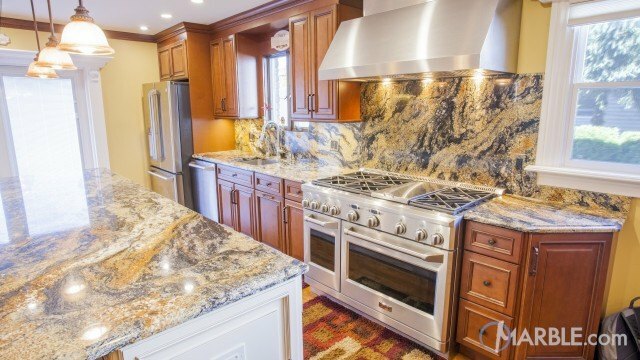 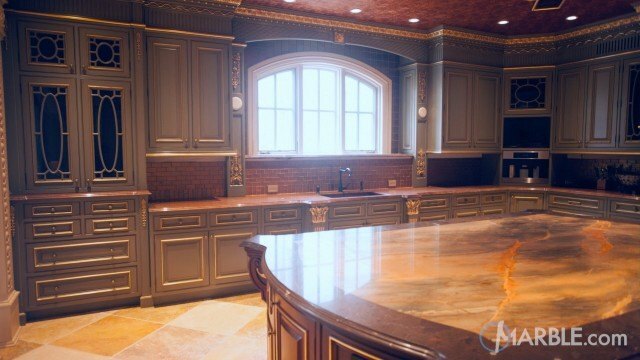 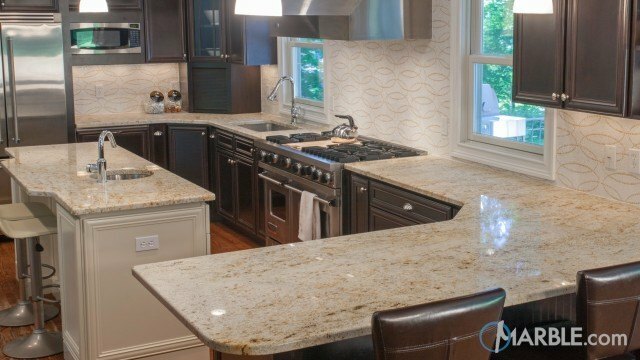 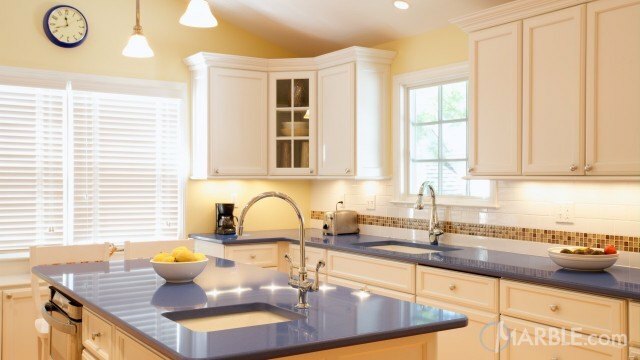 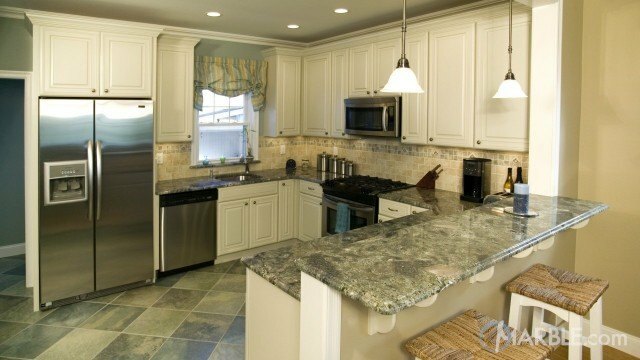 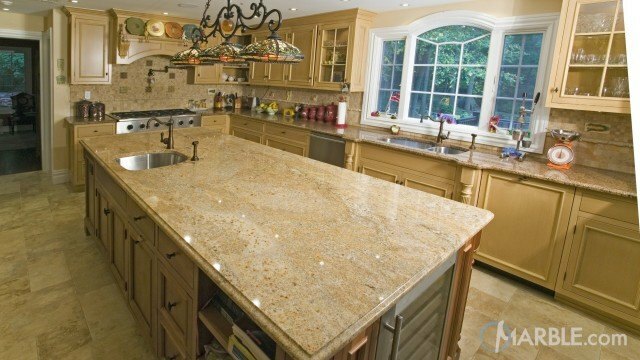 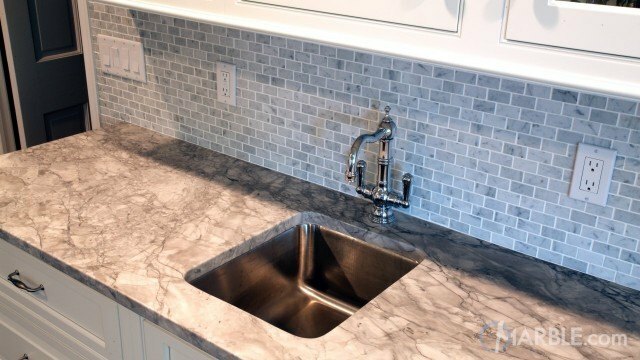 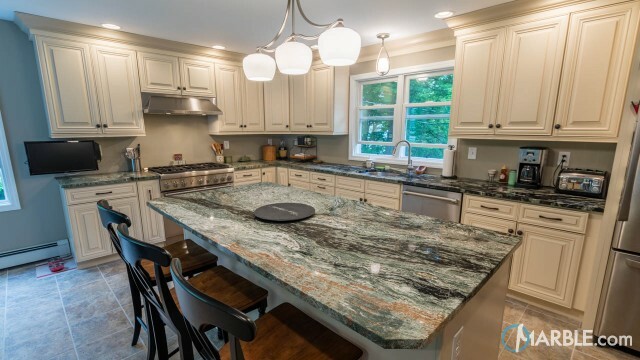 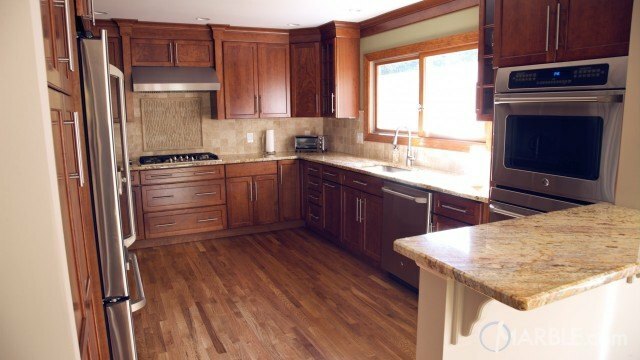 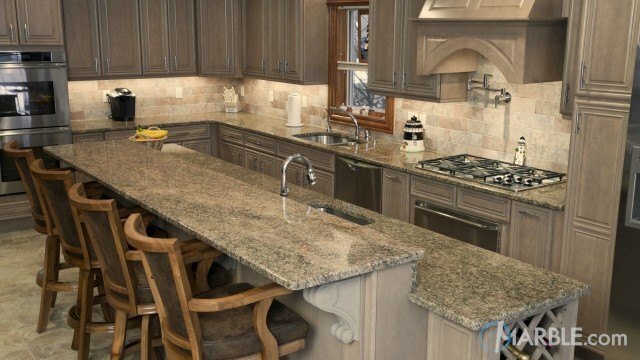 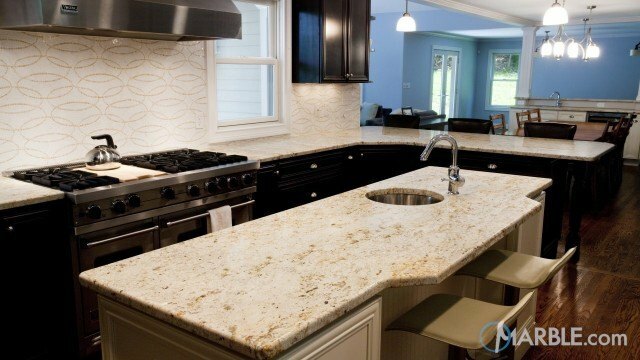 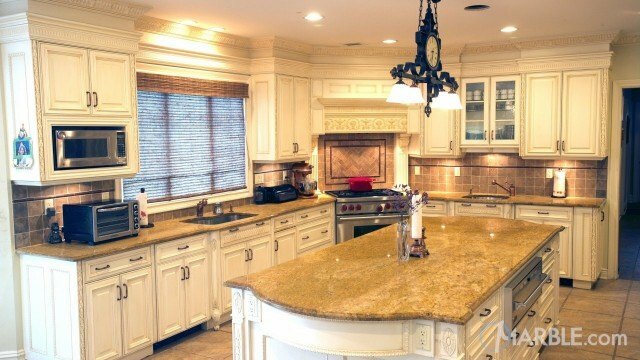 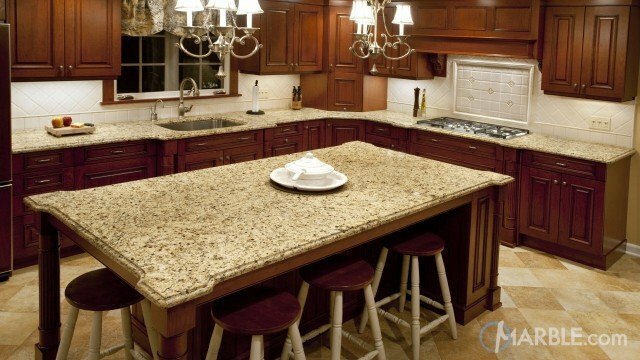 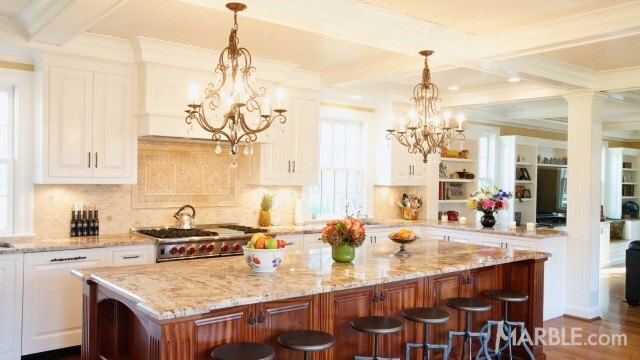 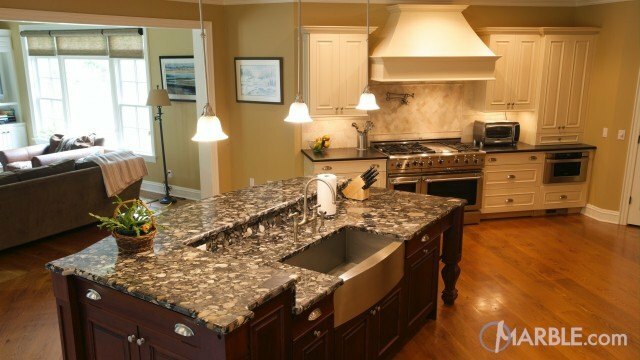 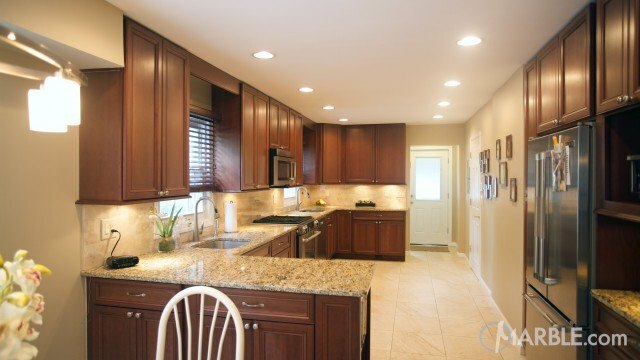 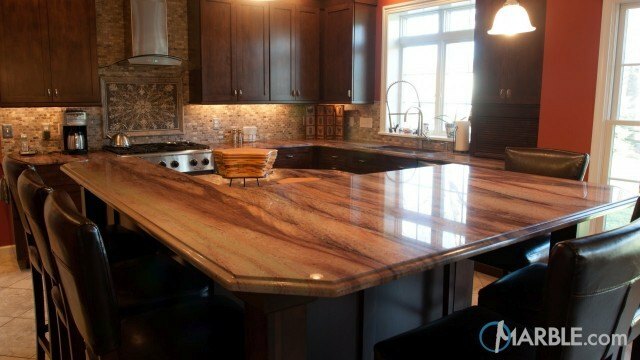 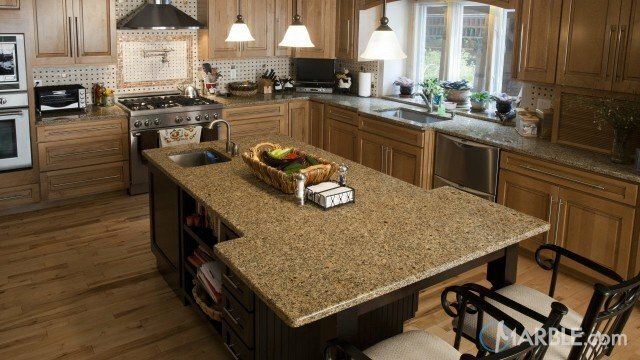 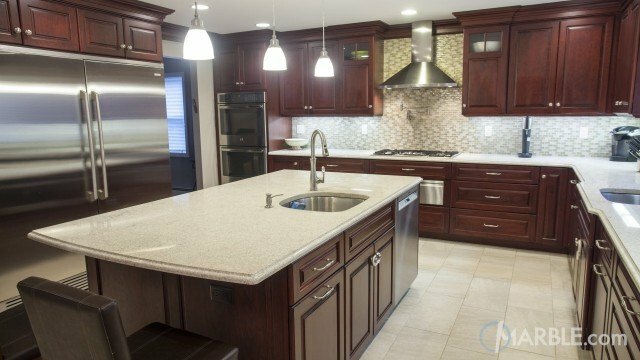 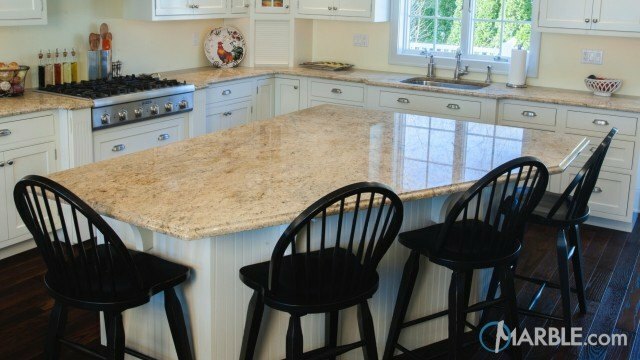 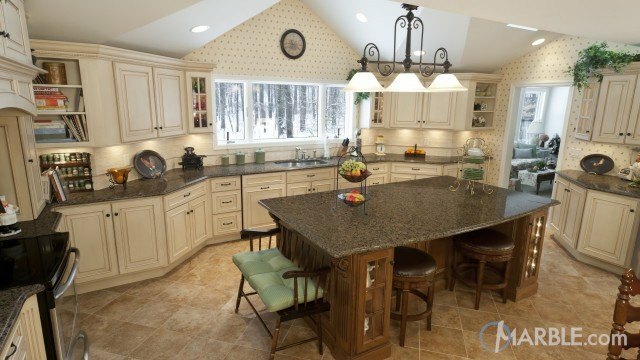 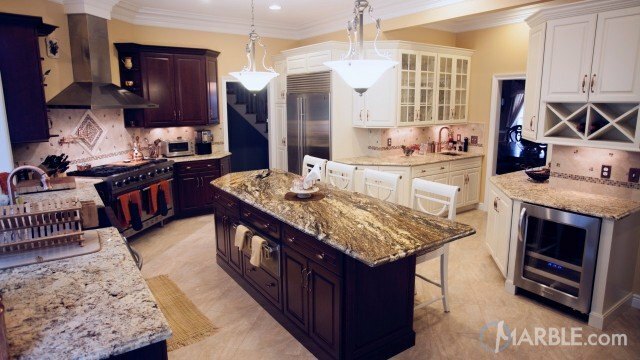 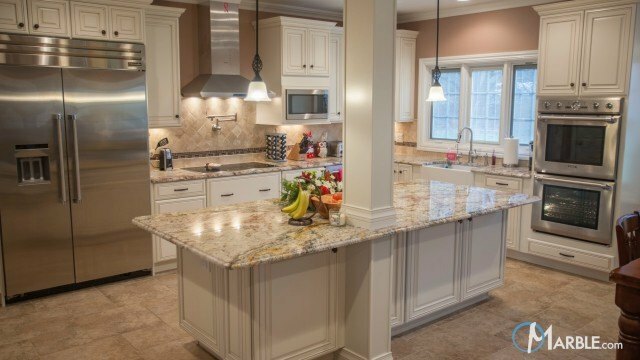 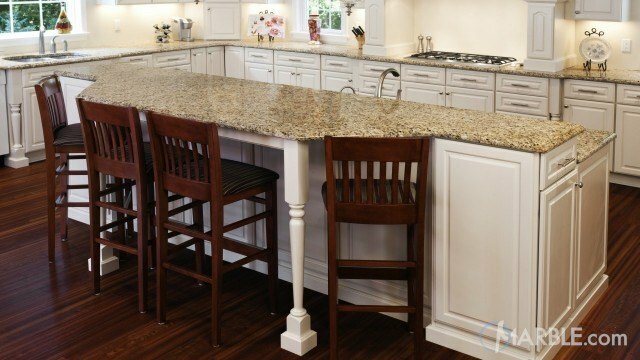 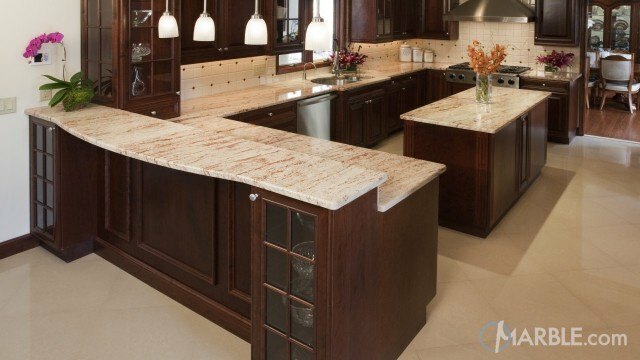 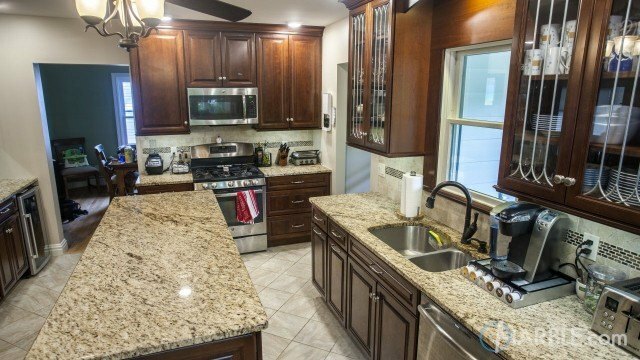 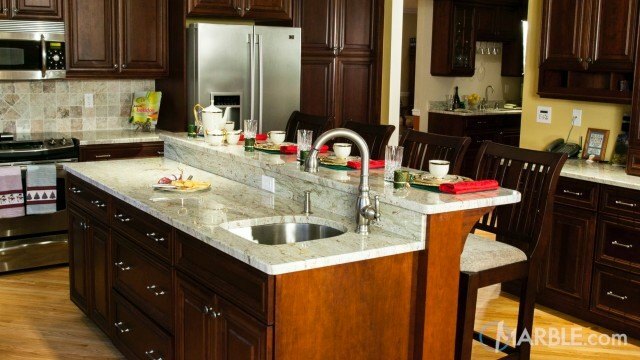 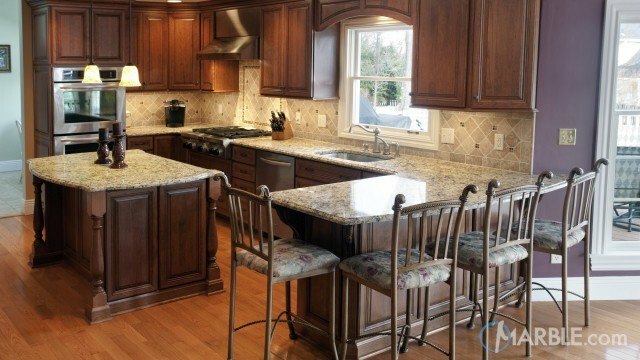 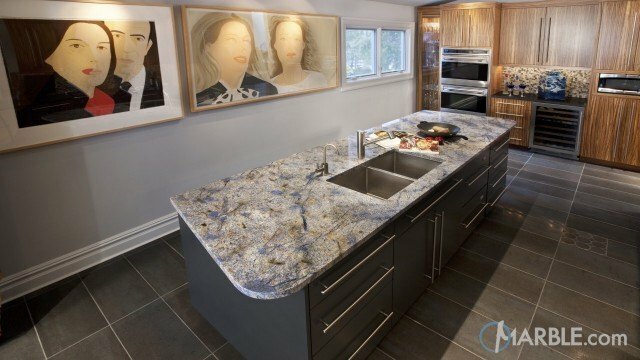 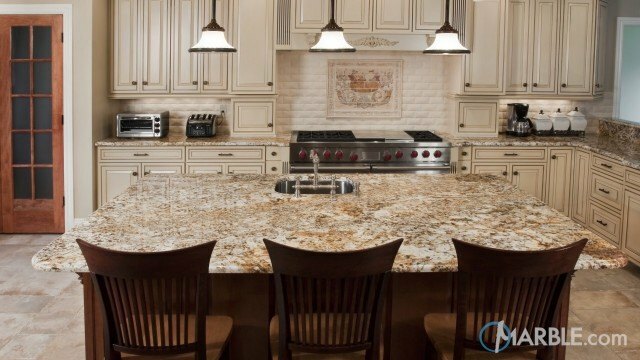 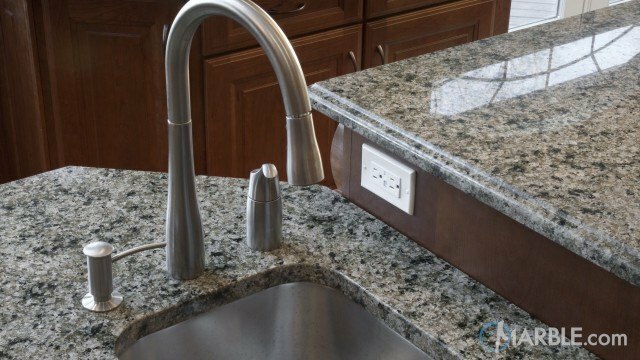 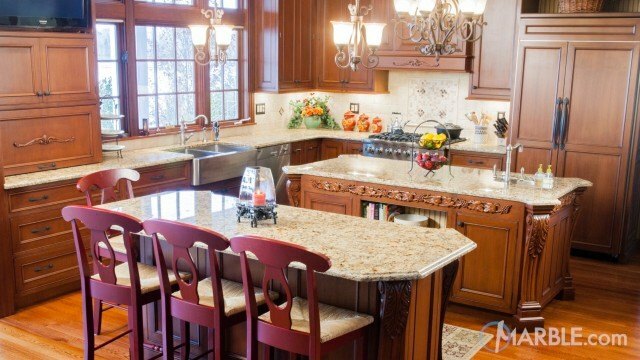 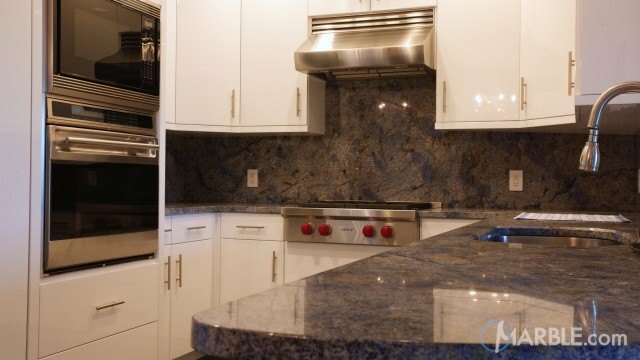 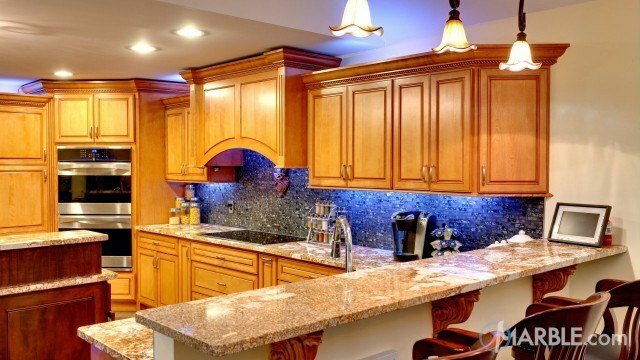 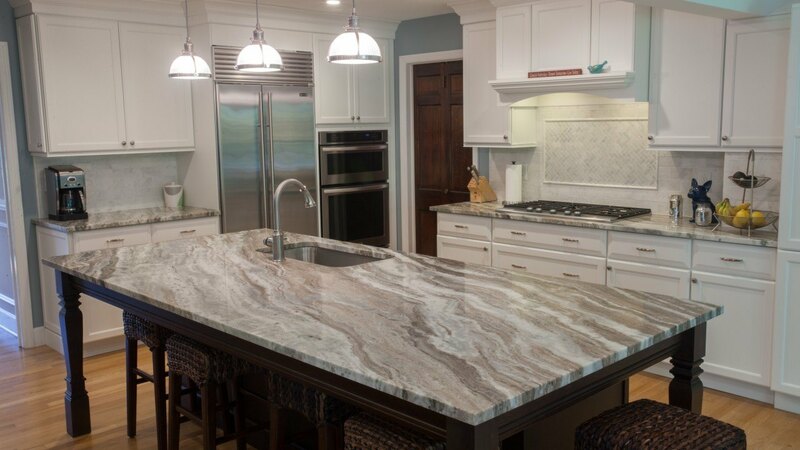 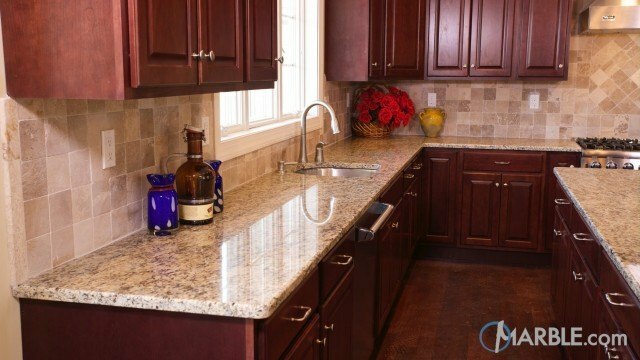 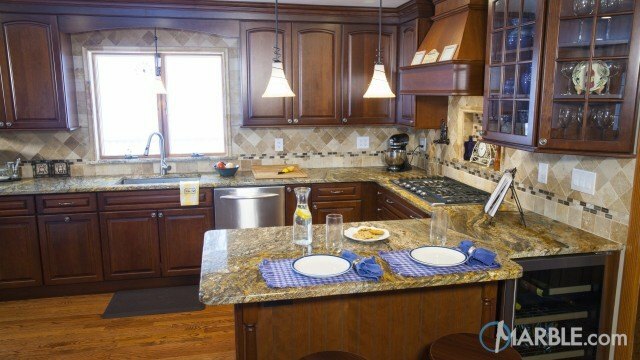 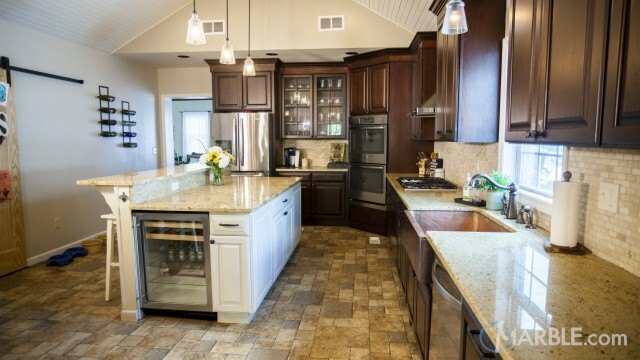 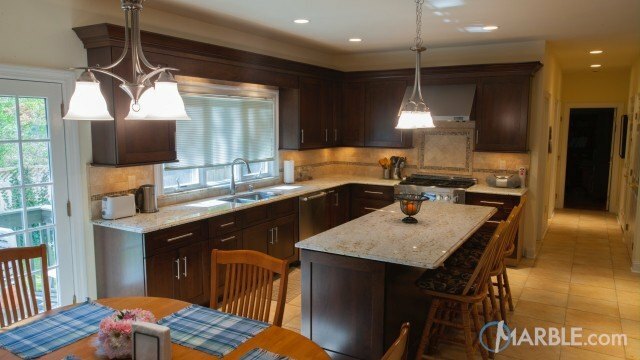 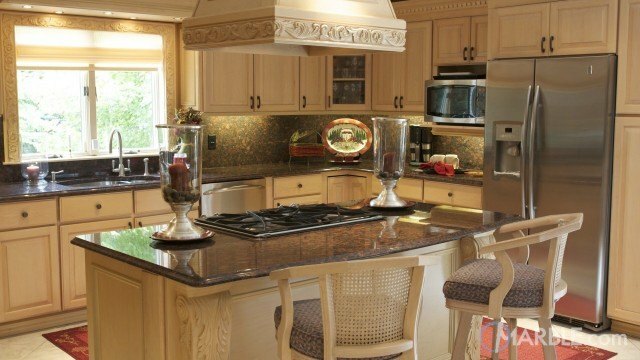 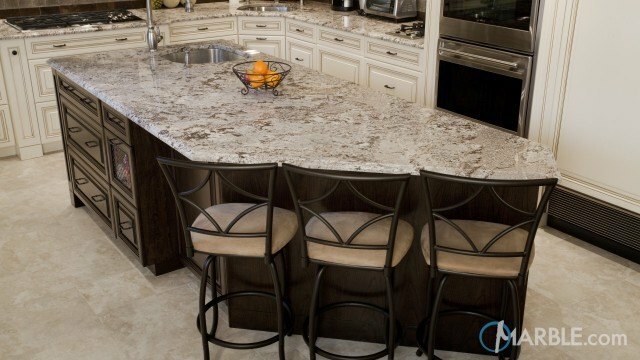 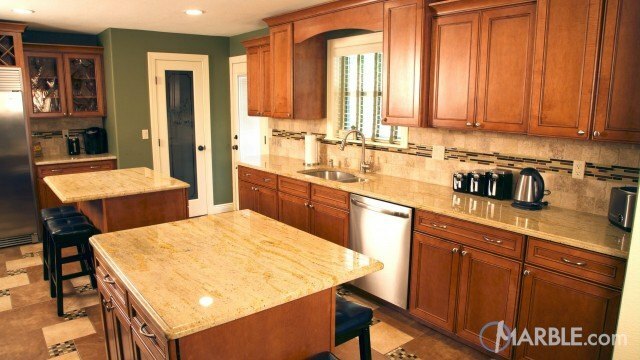 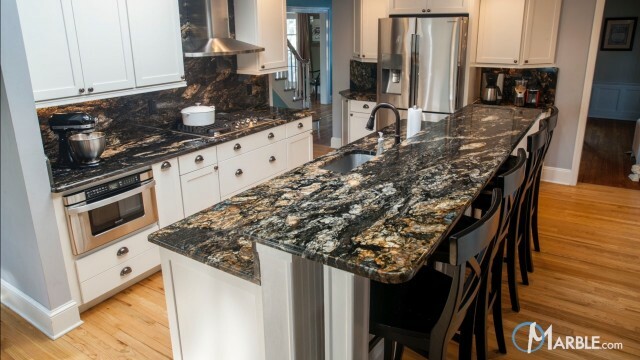 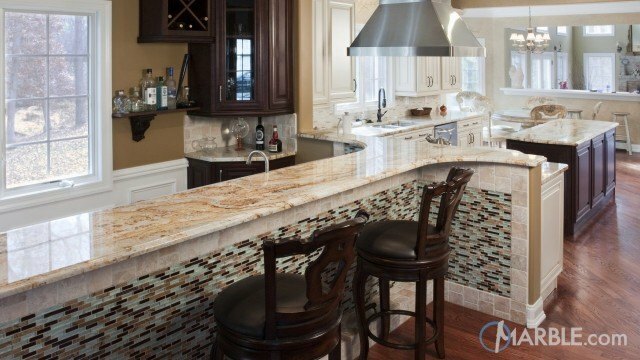 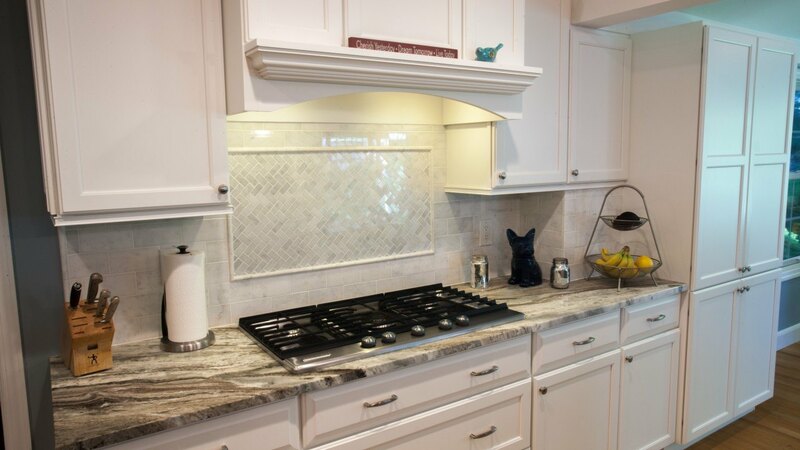 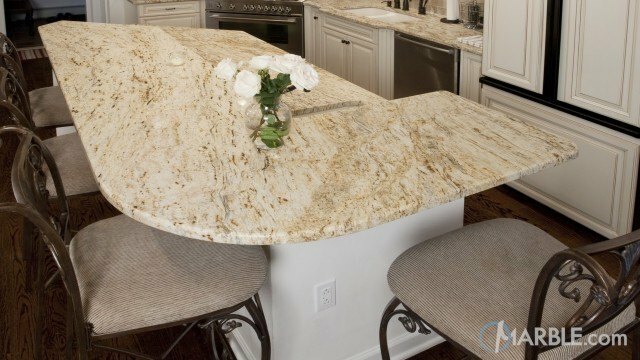 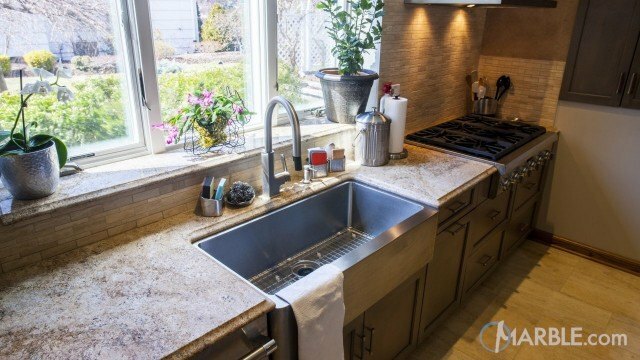 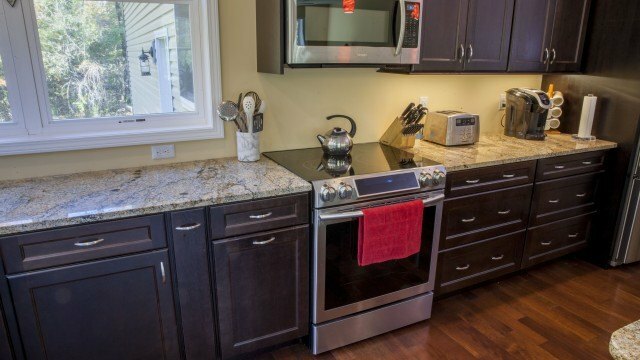 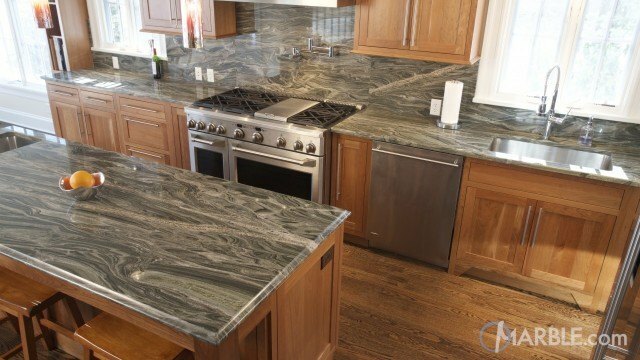 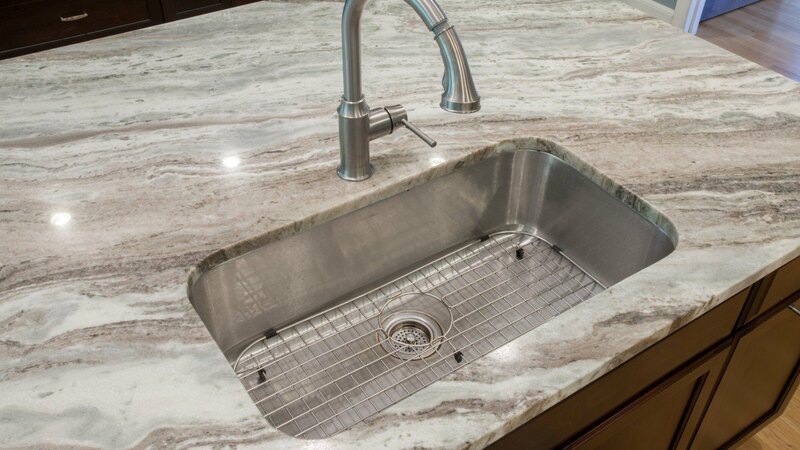 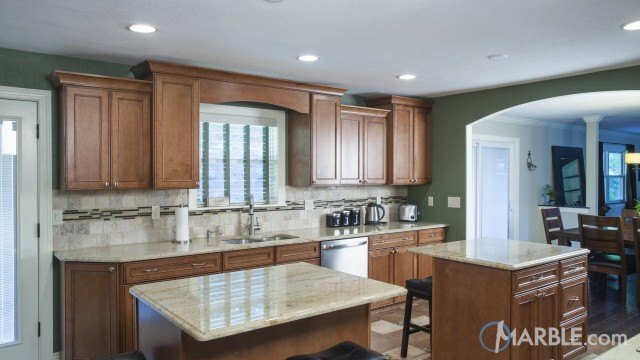 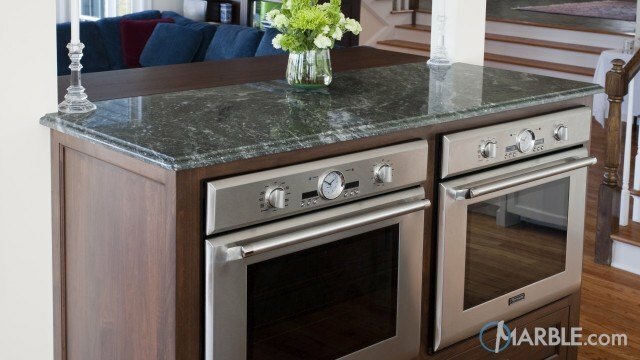 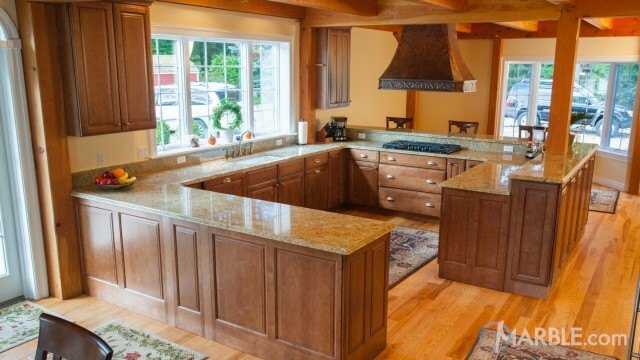 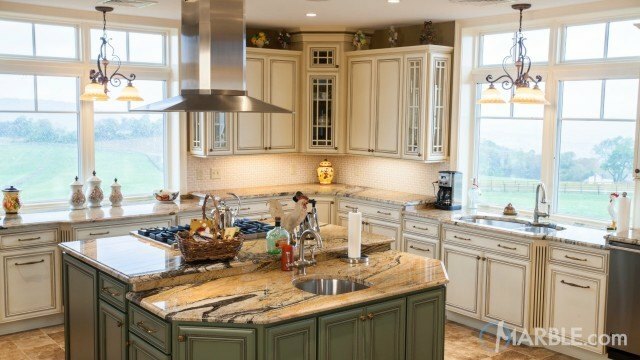 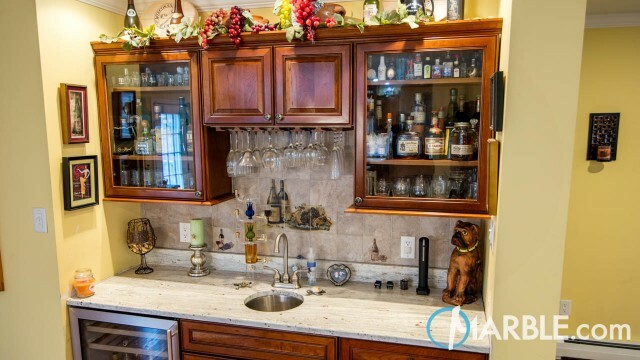 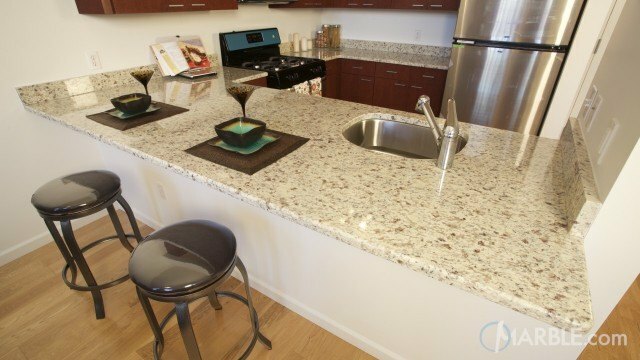 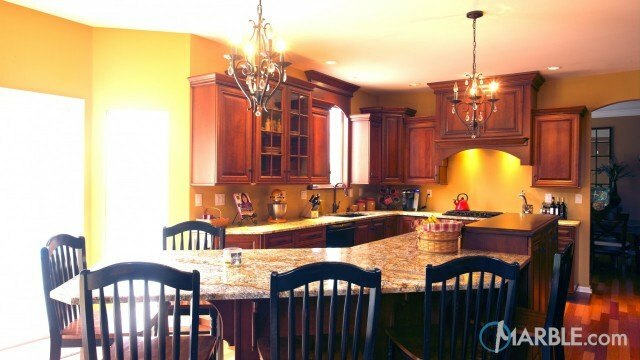 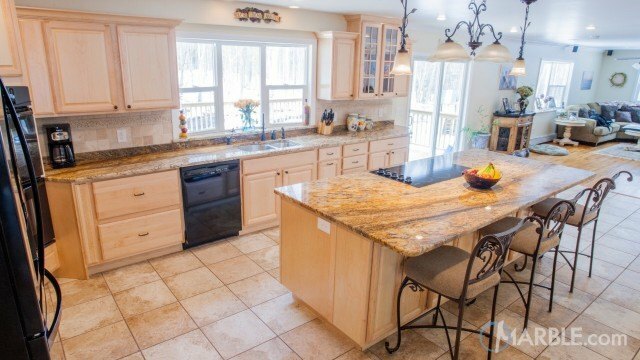 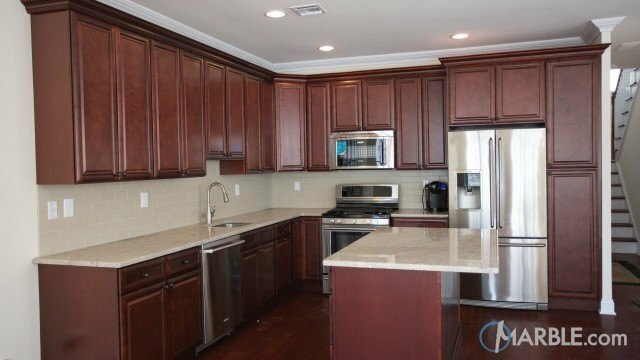 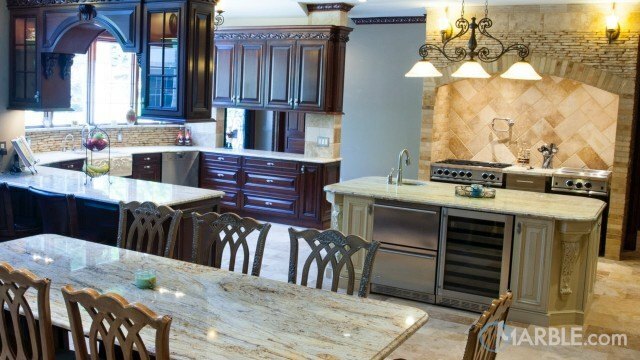 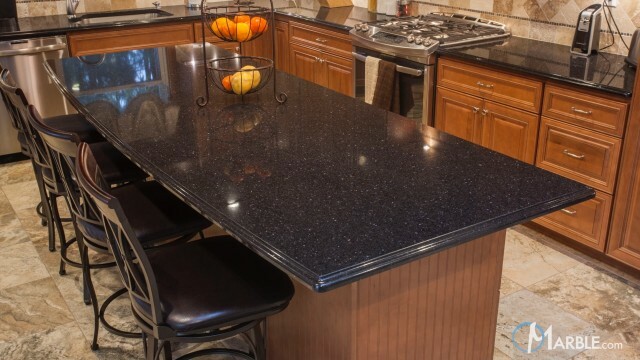 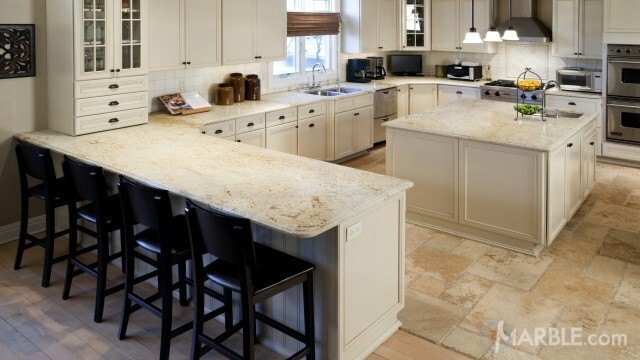 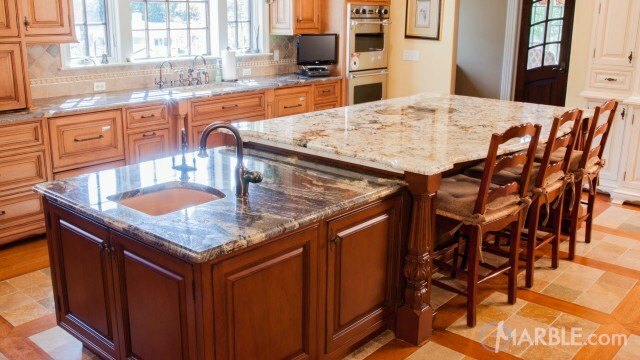 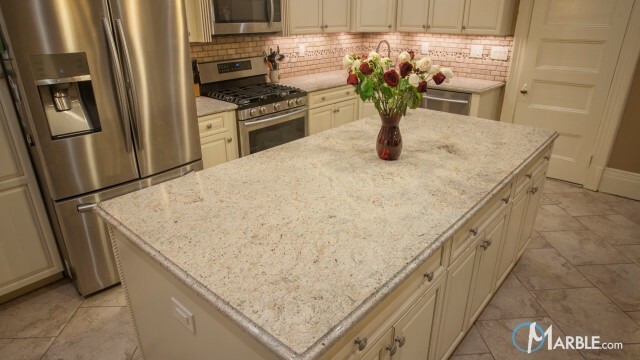 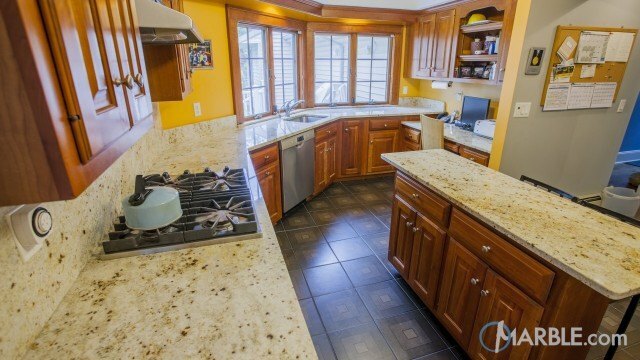 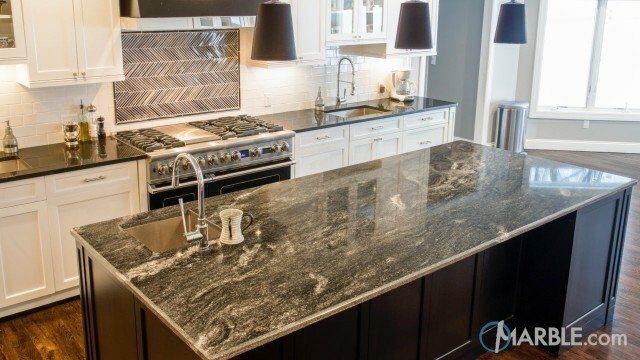 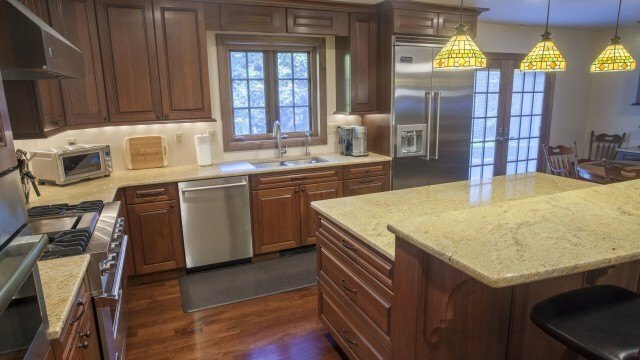 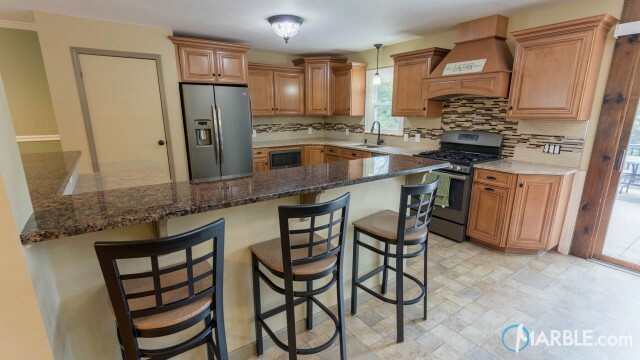 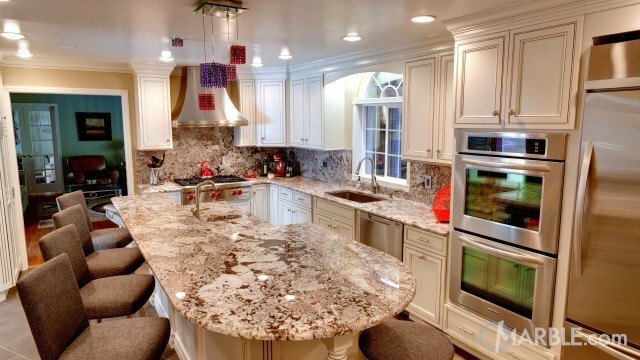 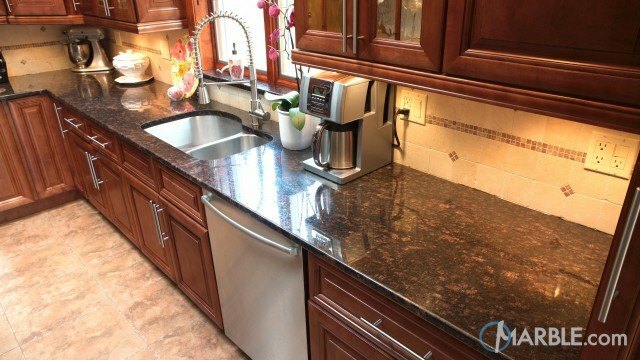 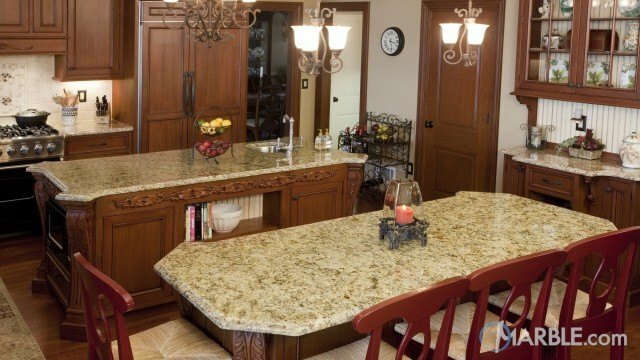 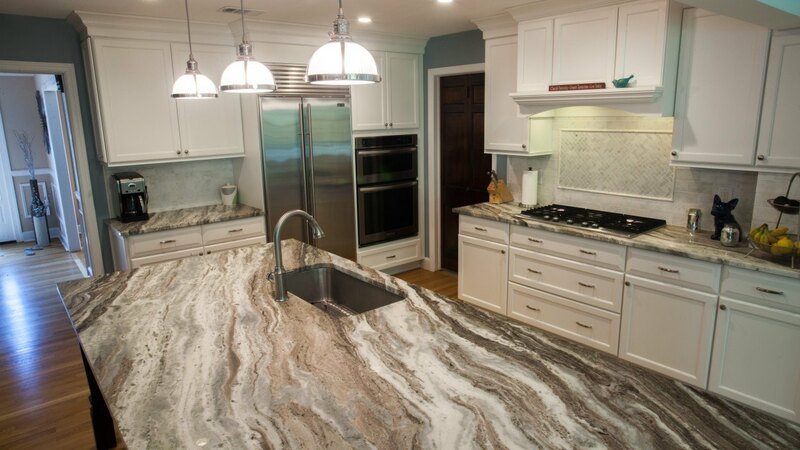 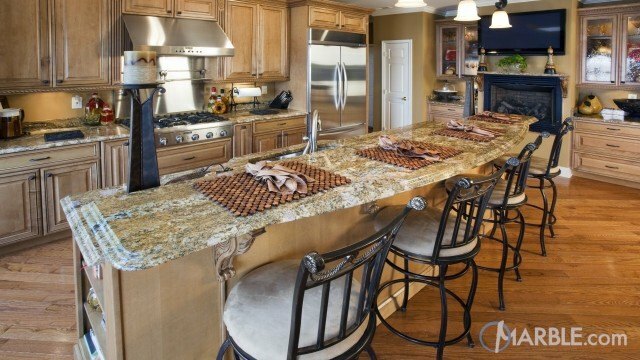 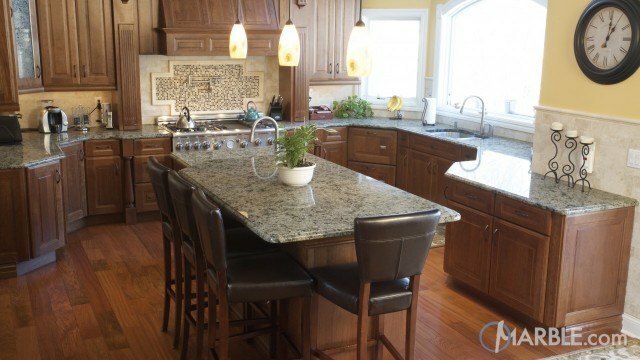 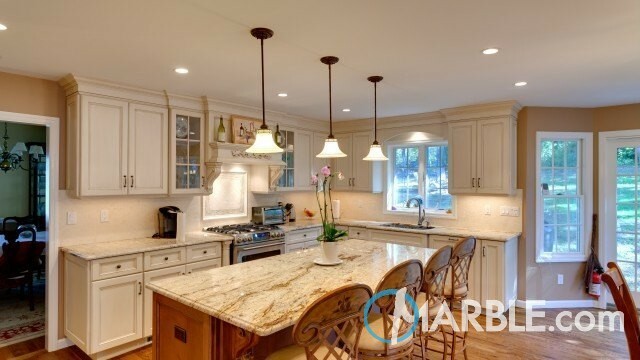 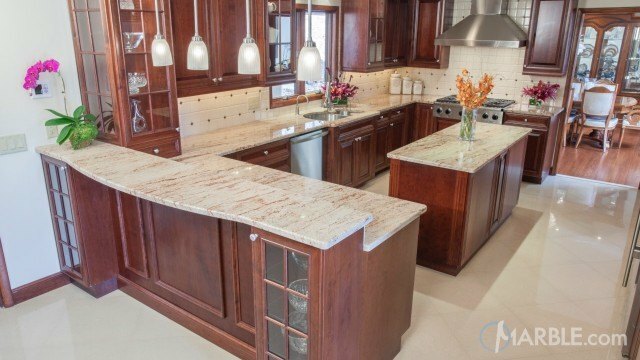 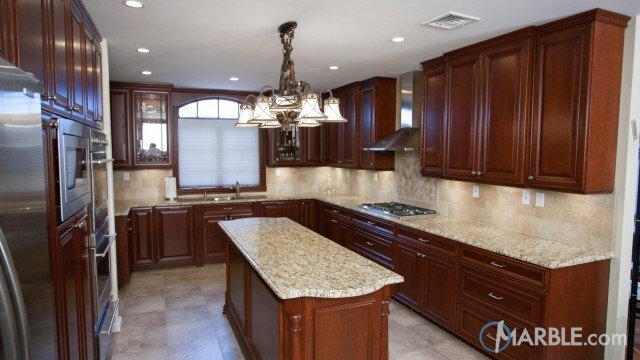 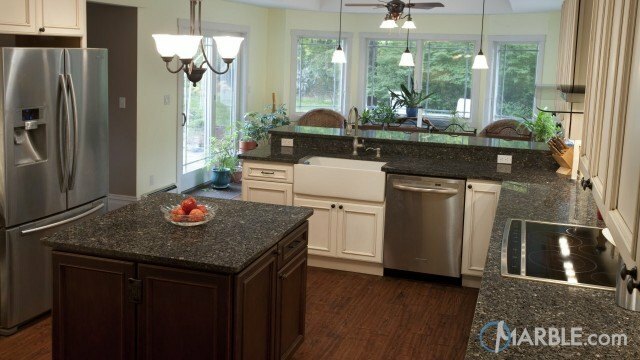 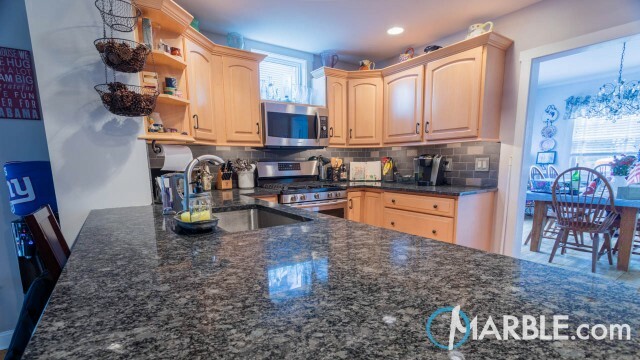 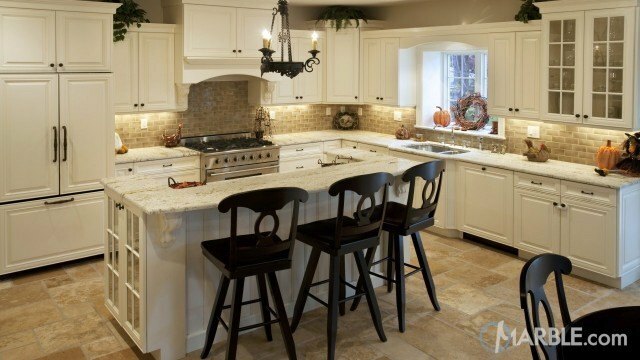 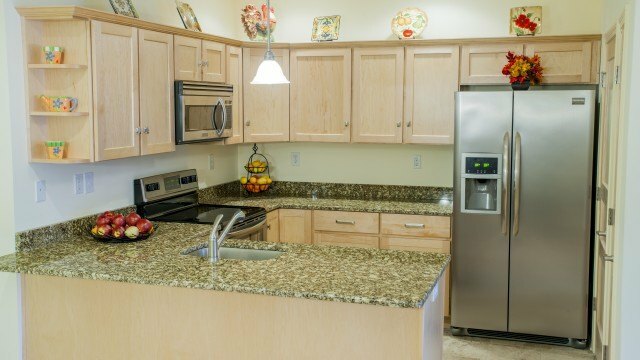 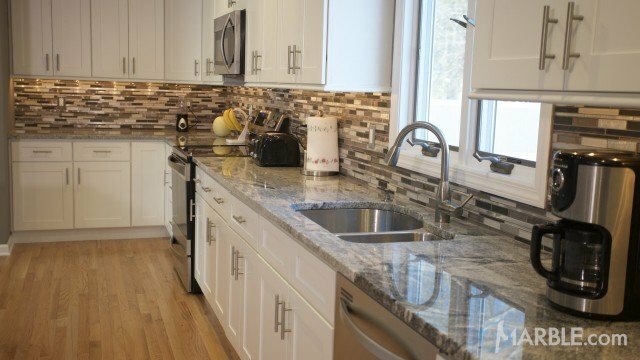 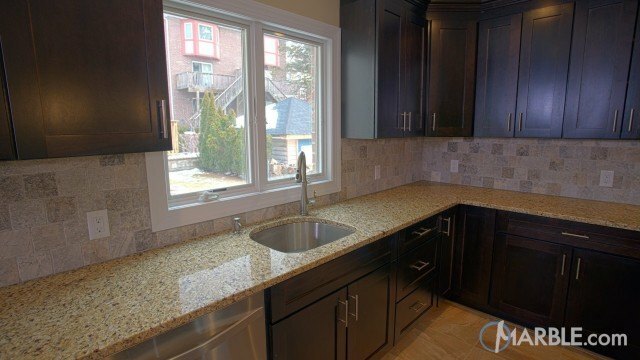 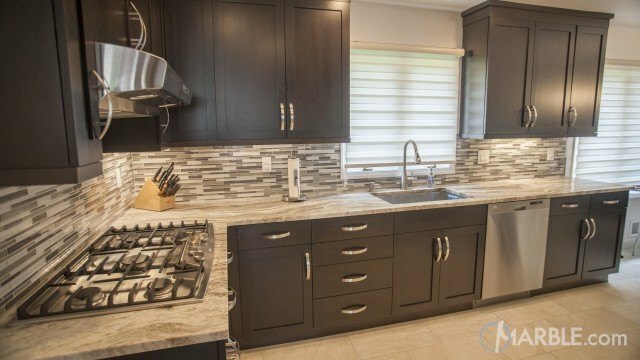 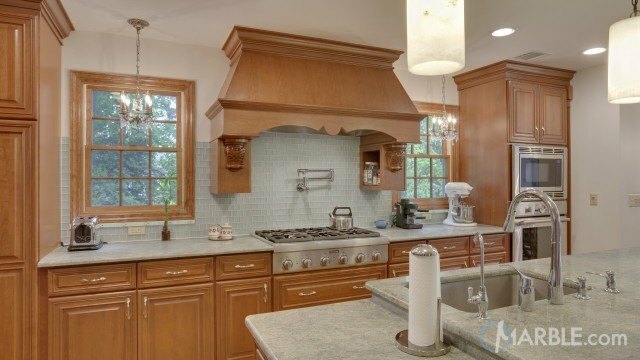 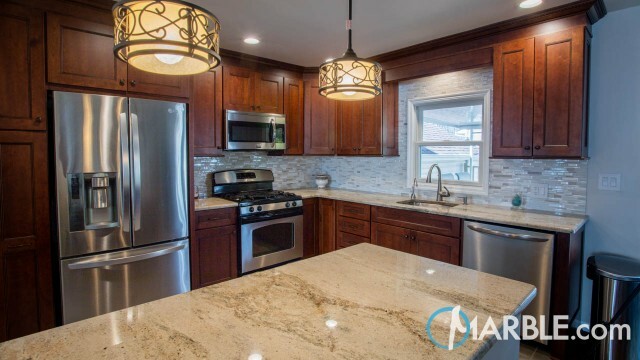 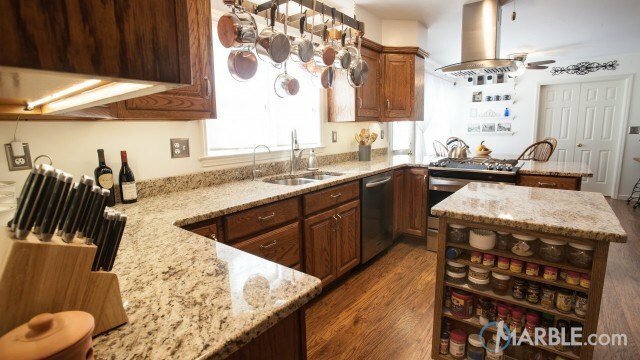 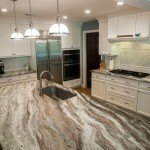 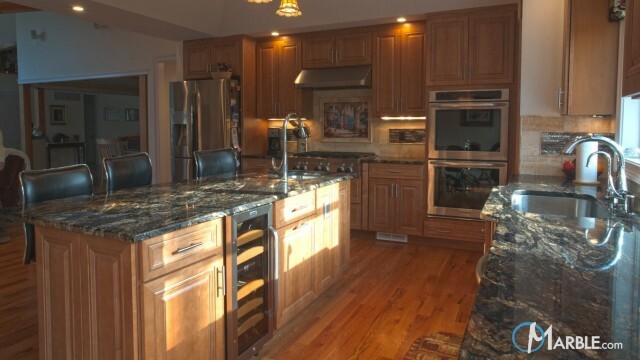 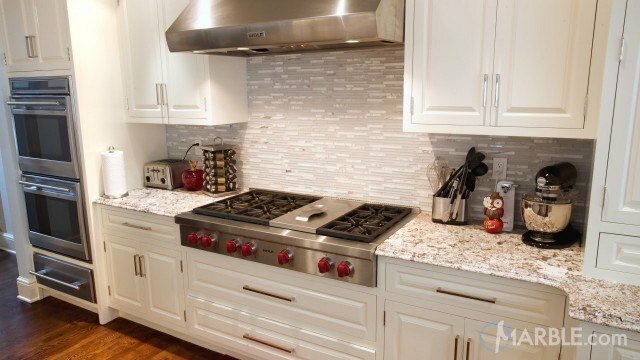 Fantasy Brown quartzite has become one of the most popular counter top materials in the market. 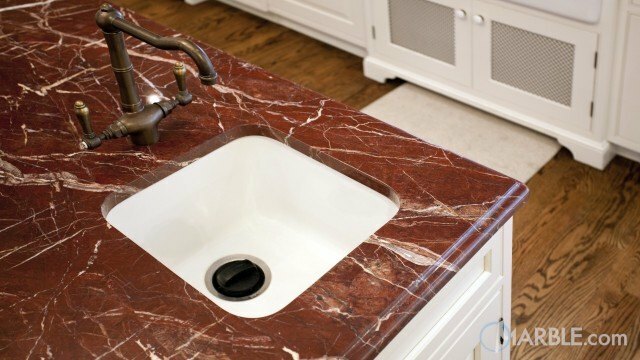 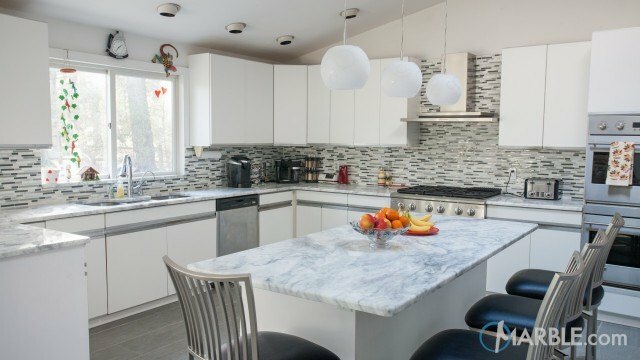 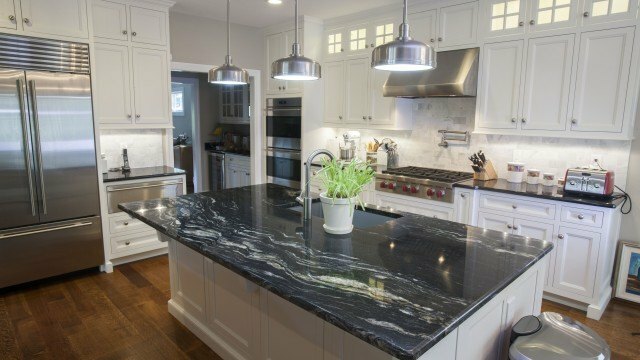 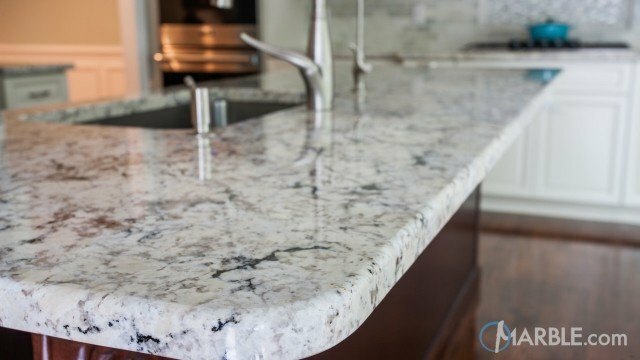 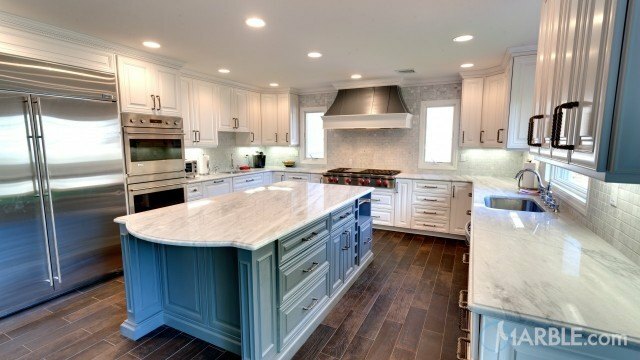 This quartzite resembles the elegance of marble but also contains its own custom aesthetic additions with its rich colors. 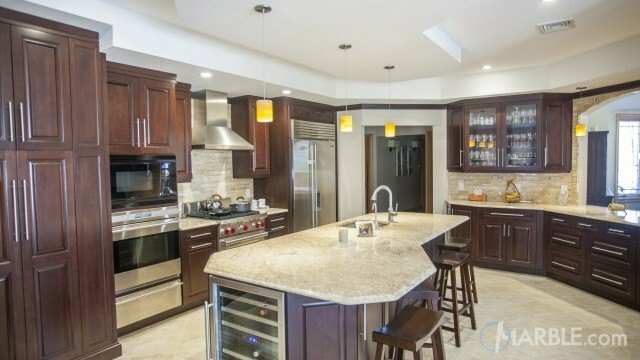 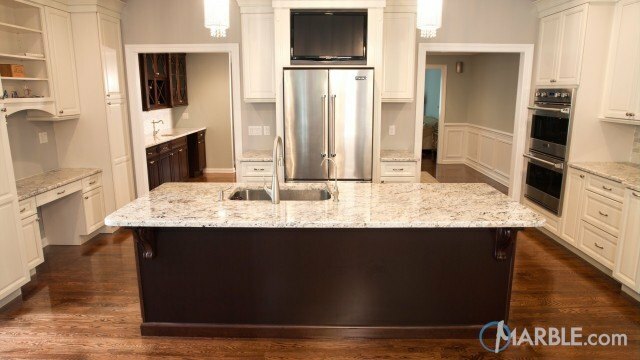 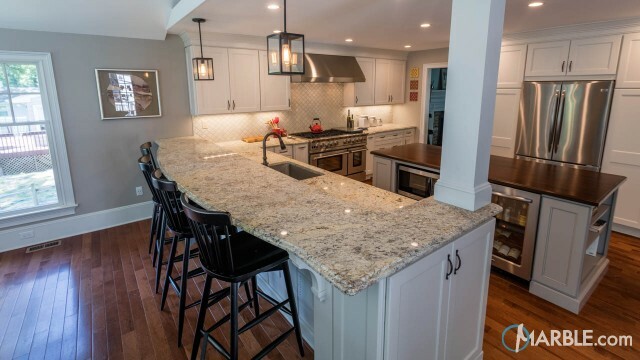 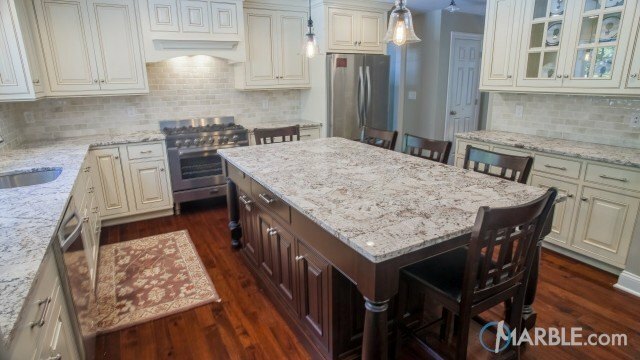 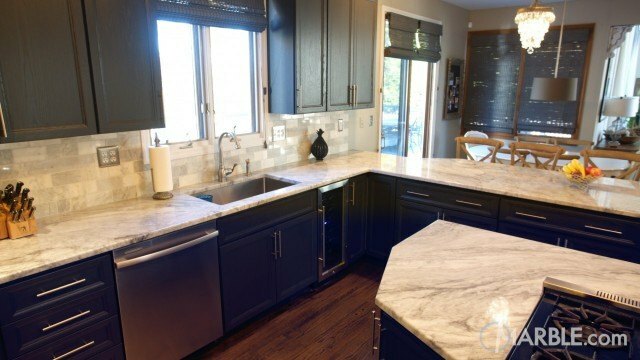 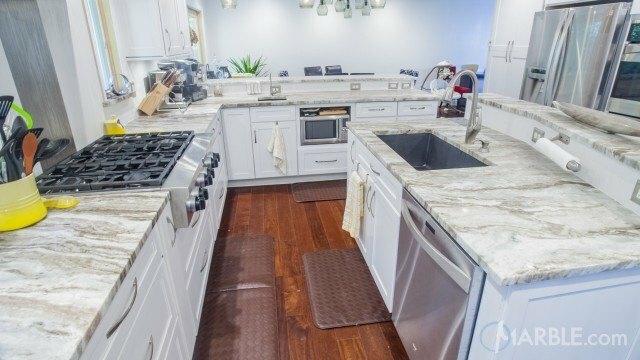 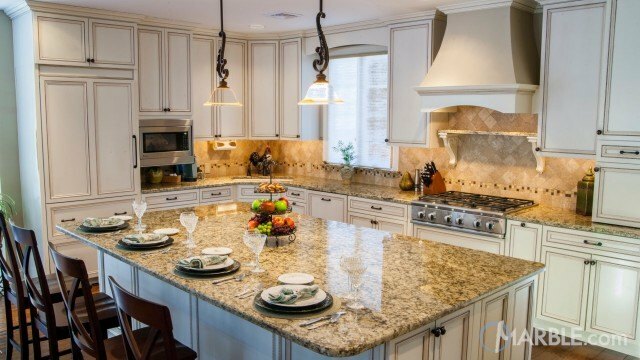 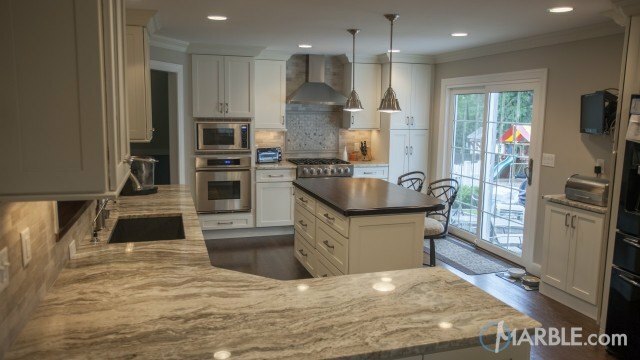 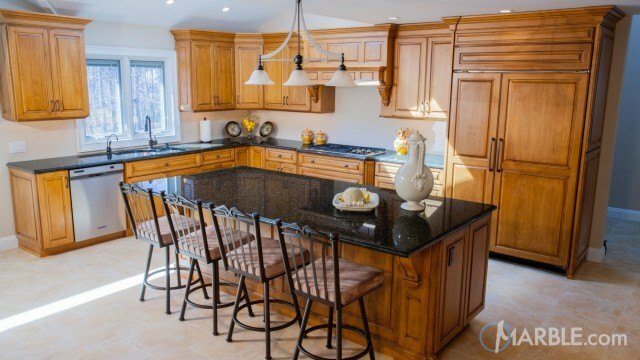 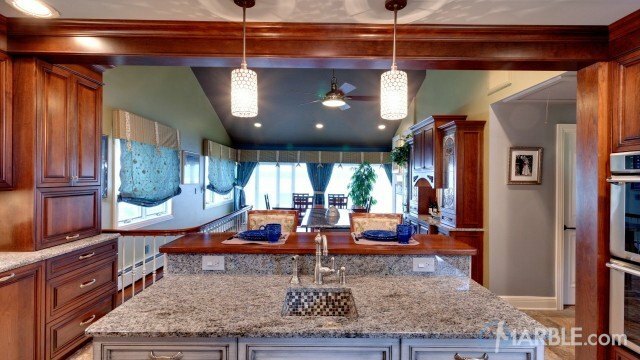 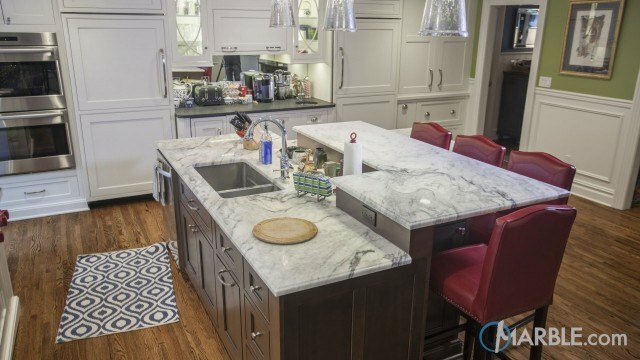 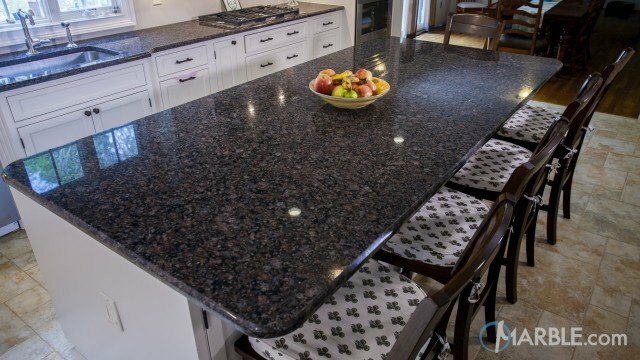 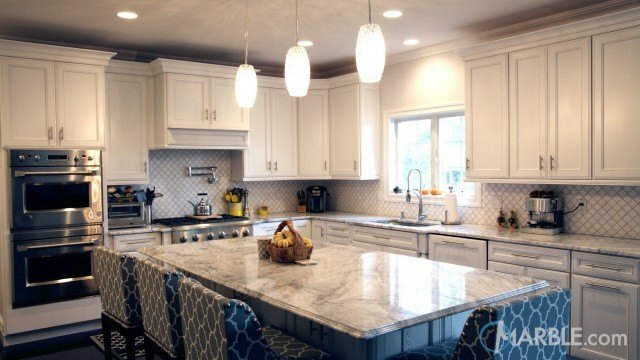 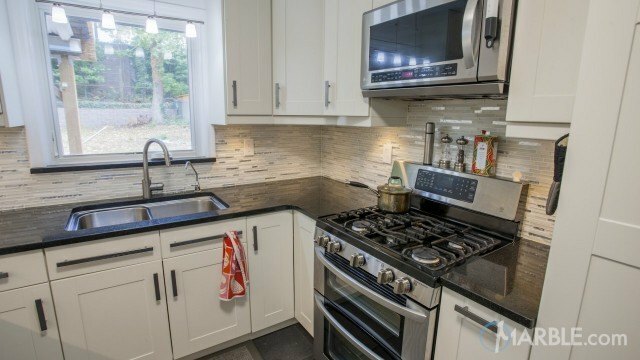 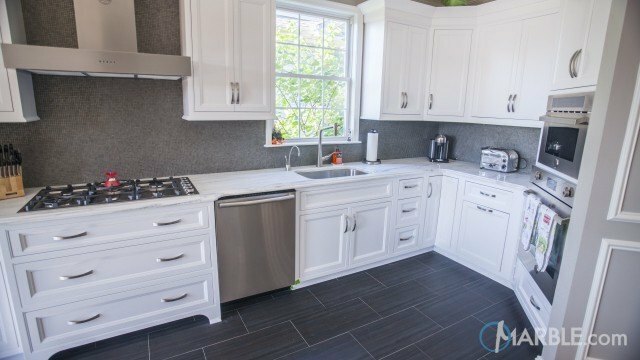 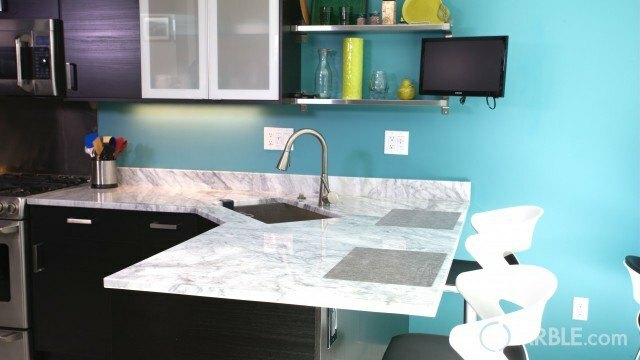 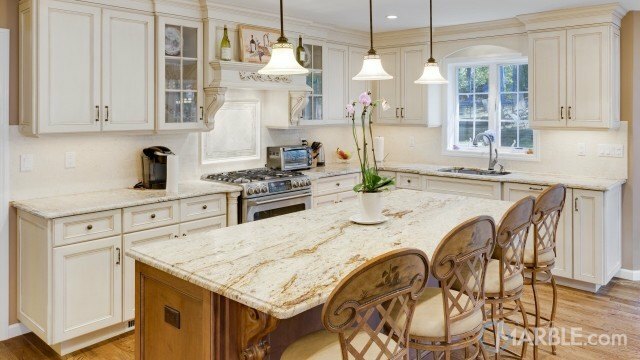 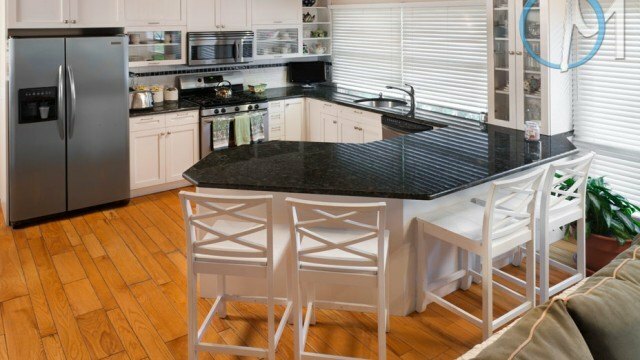 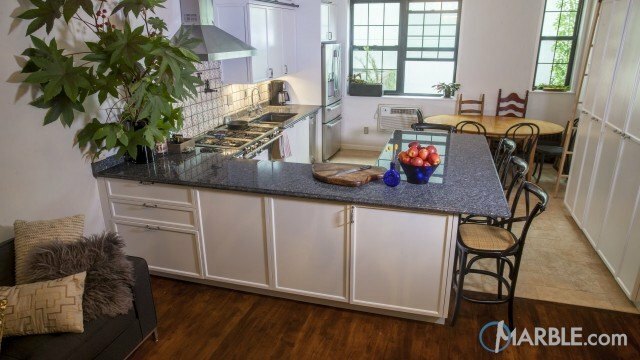 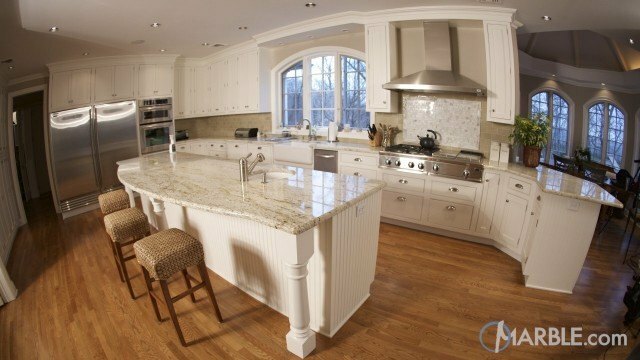 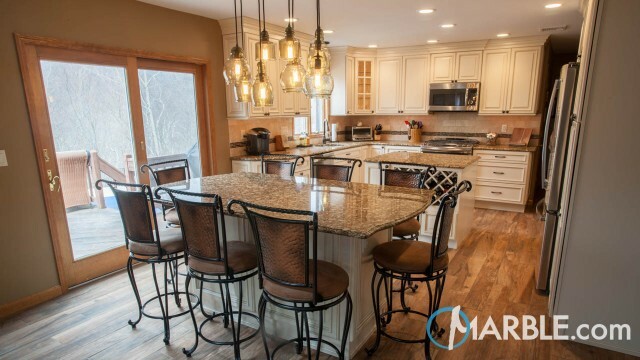 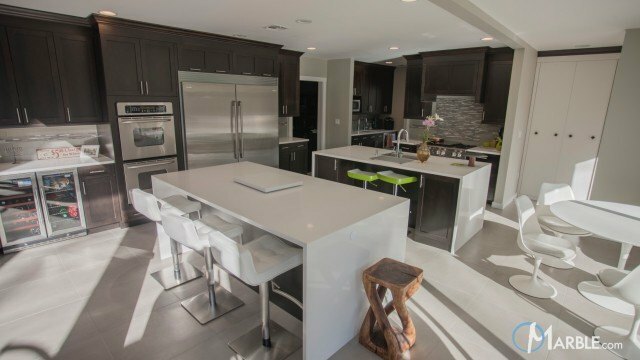 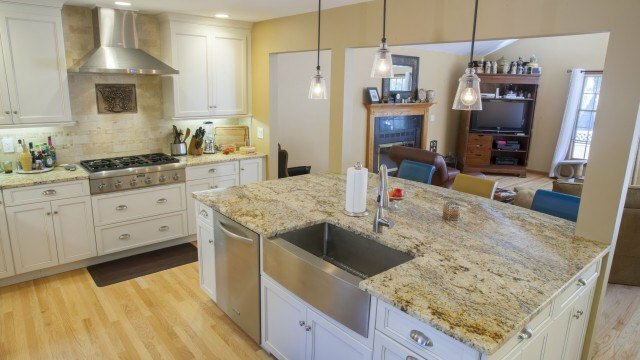 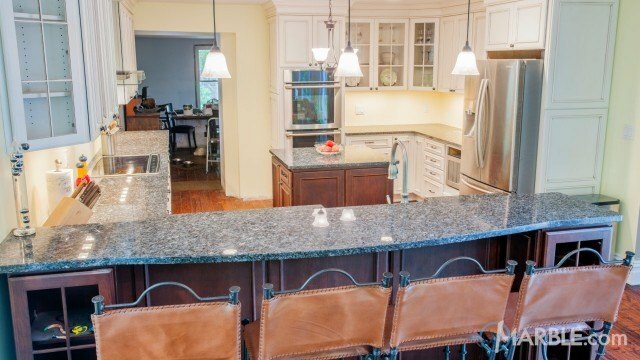 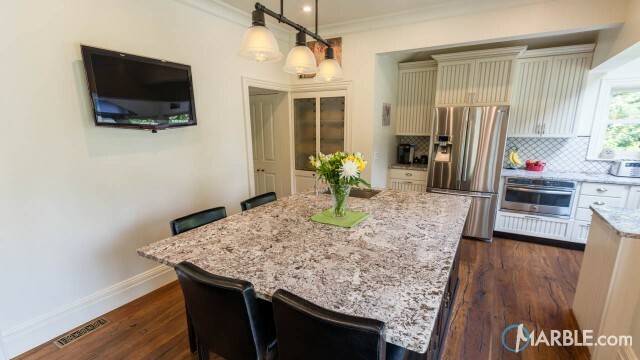 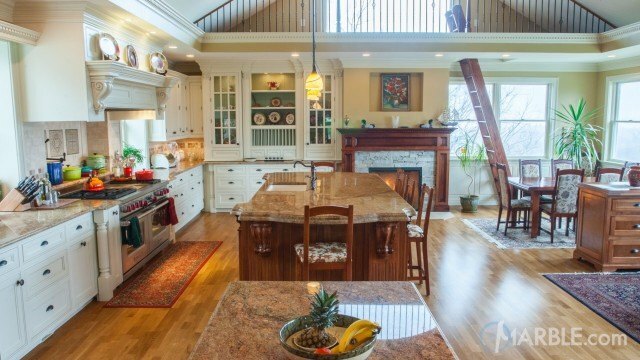 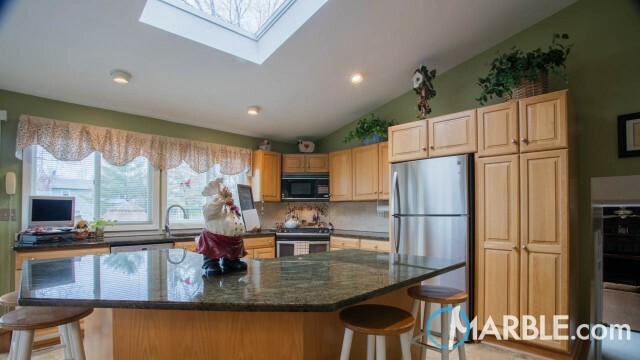 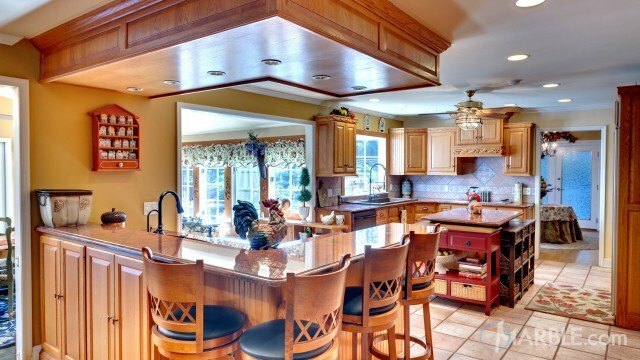 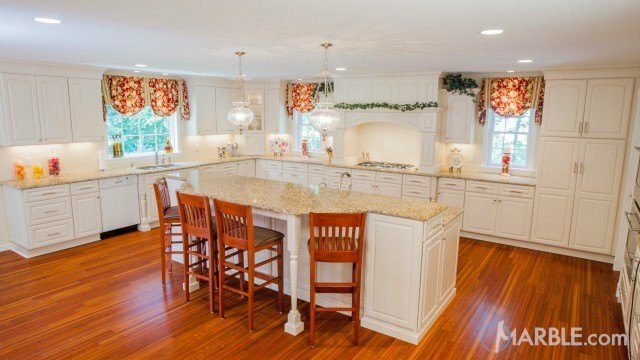 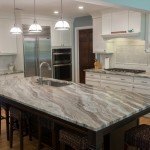 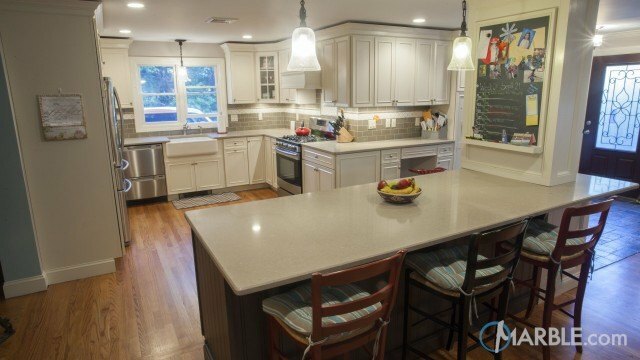 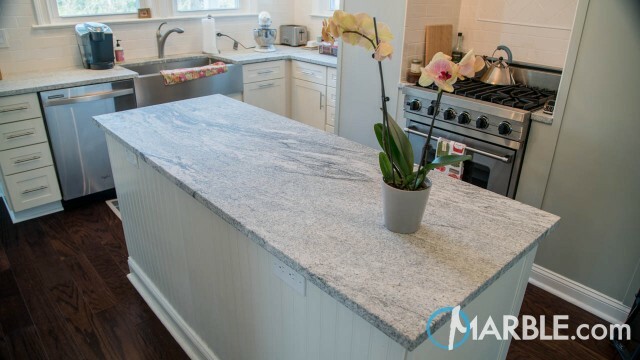 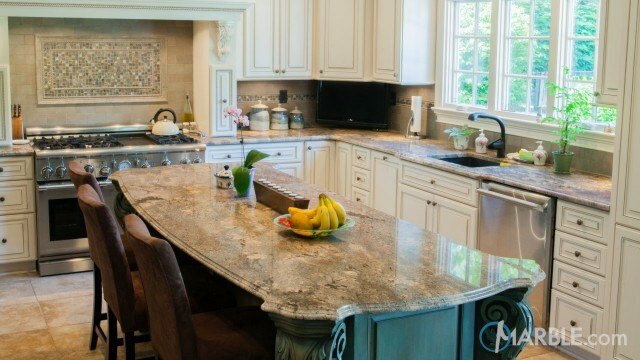 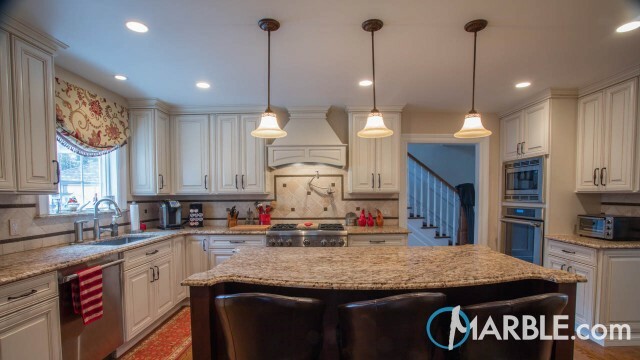 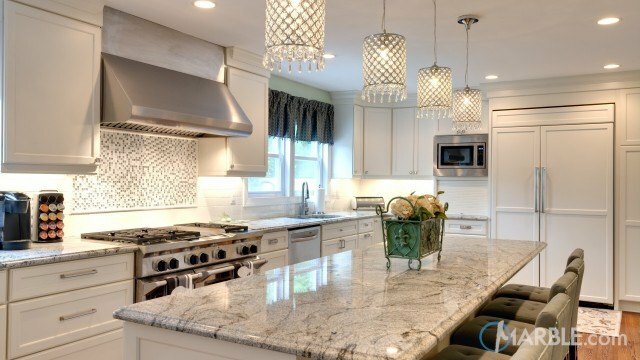 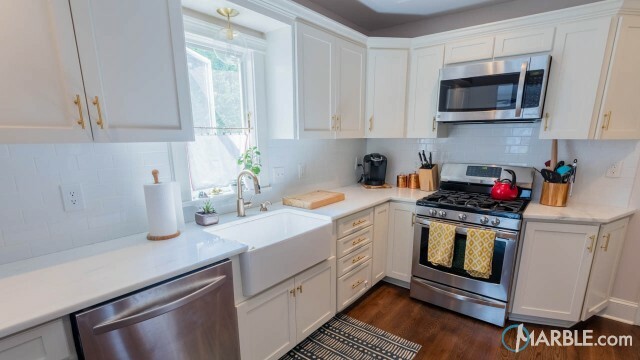 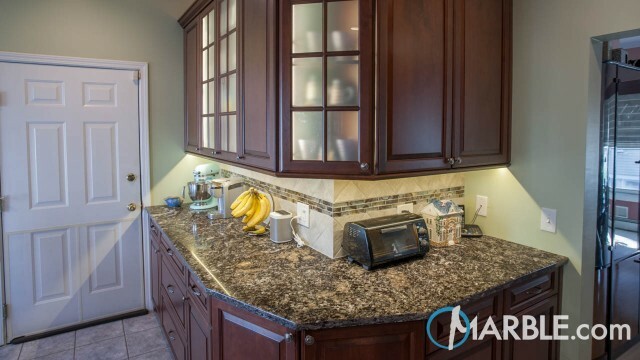 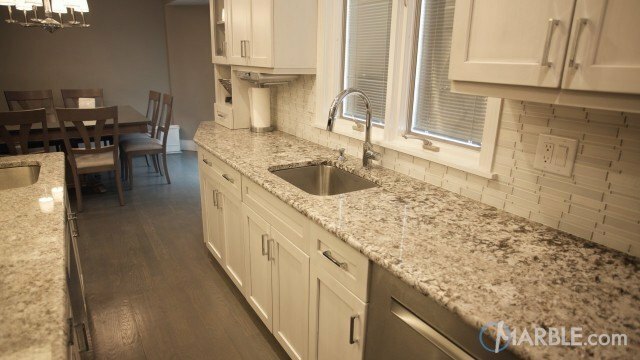 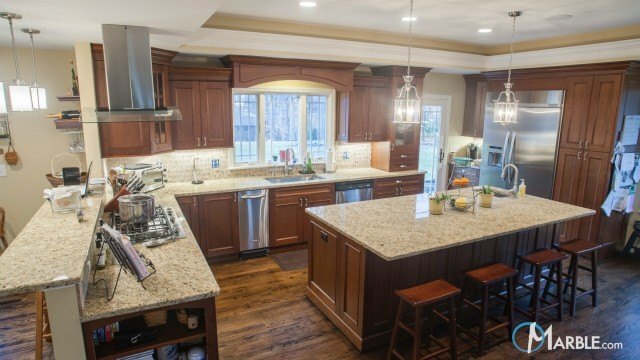 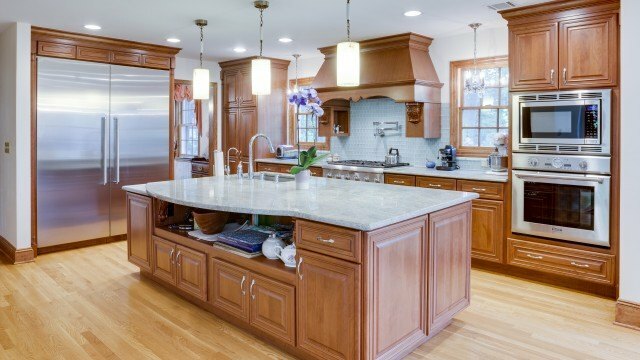 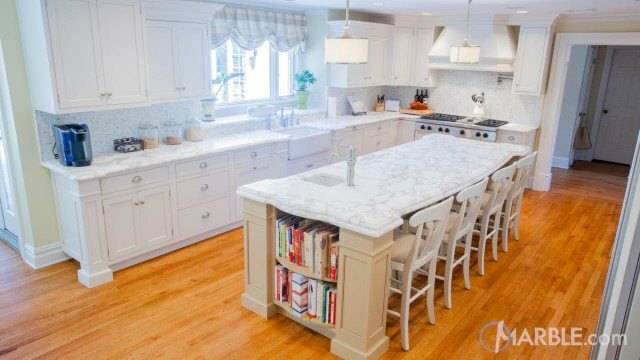 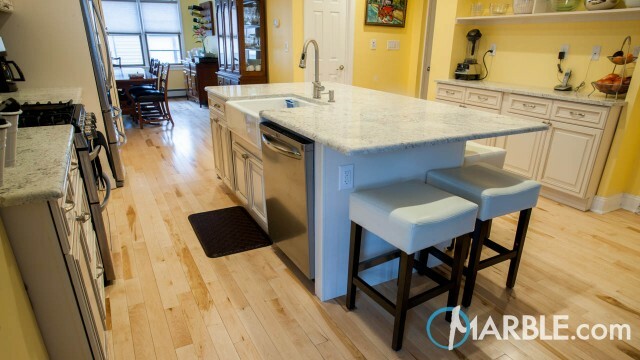 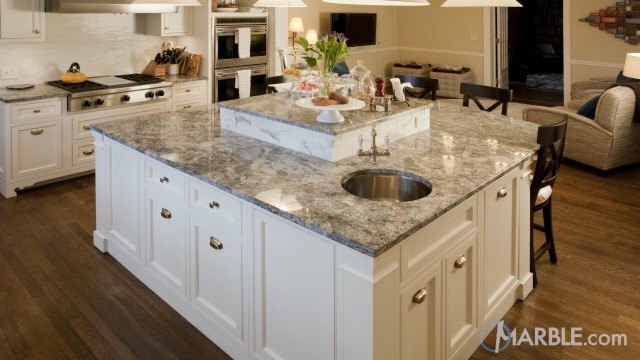 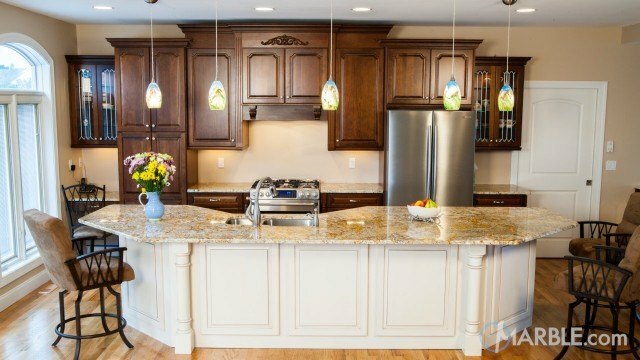 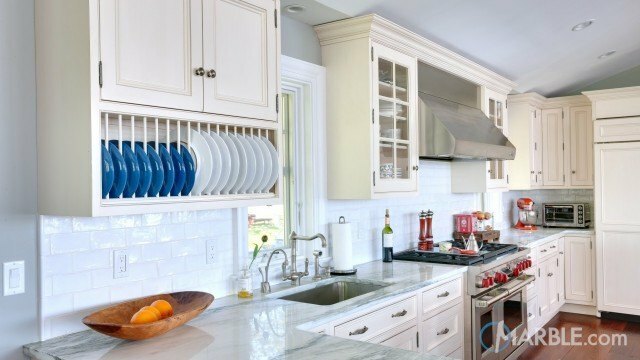 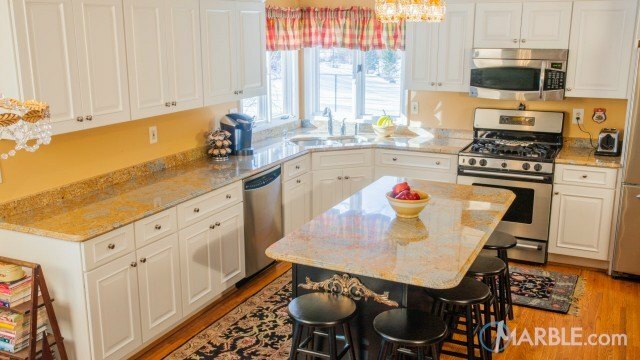 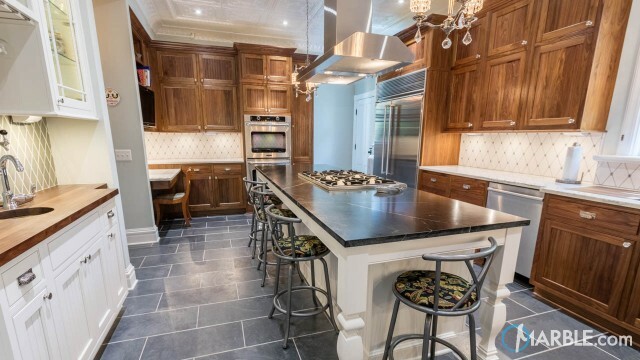 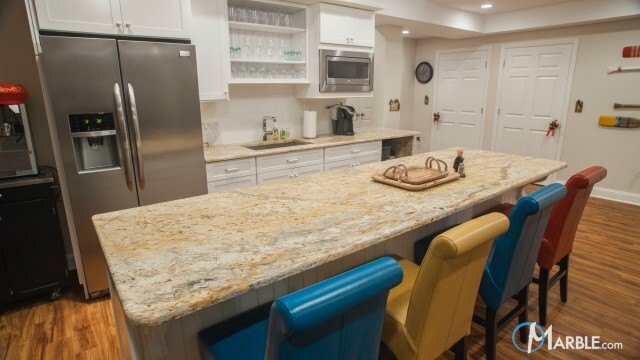 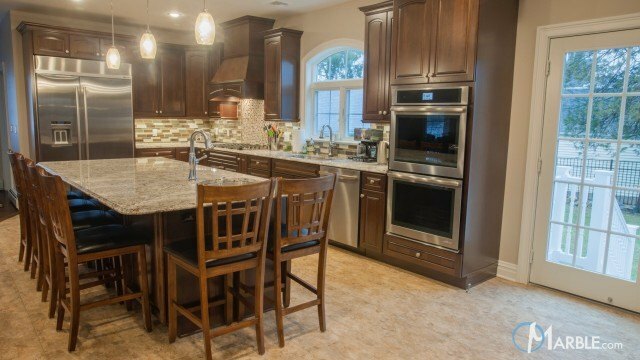 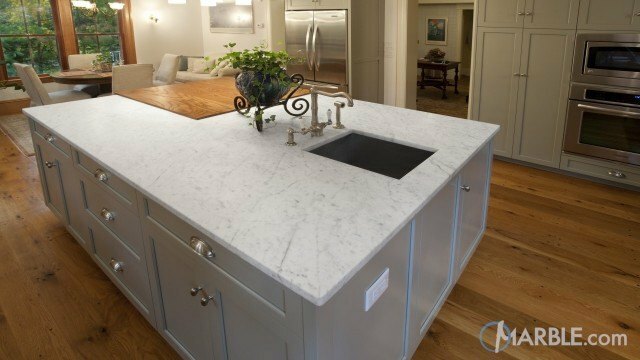 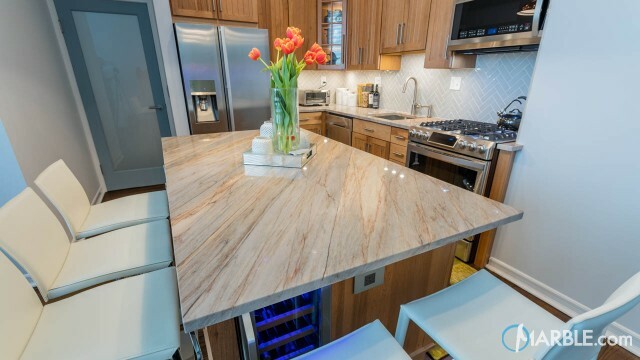 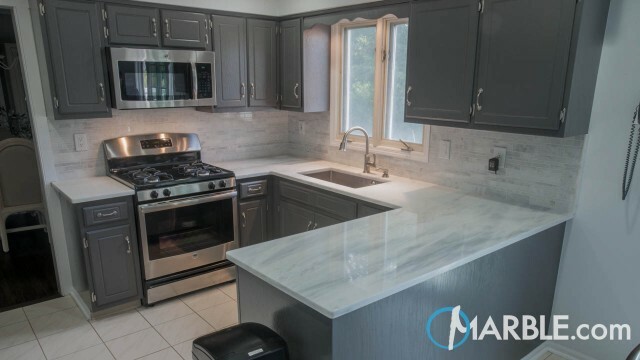 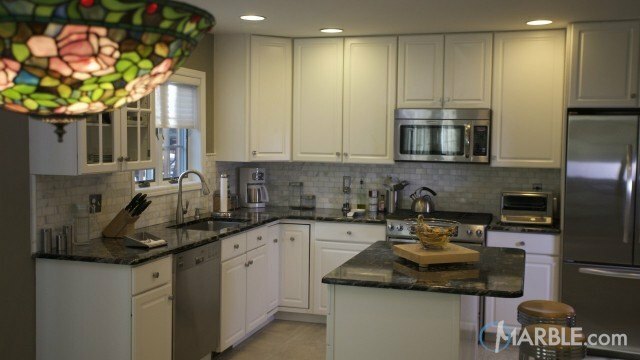 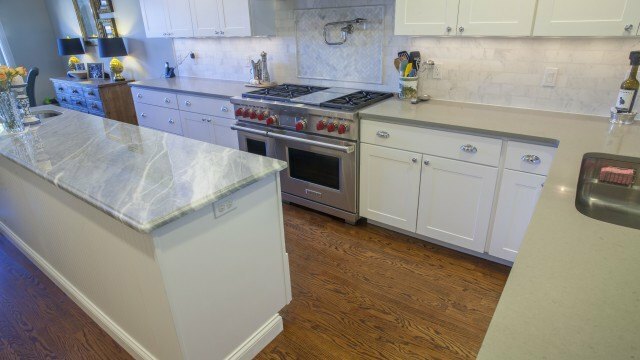 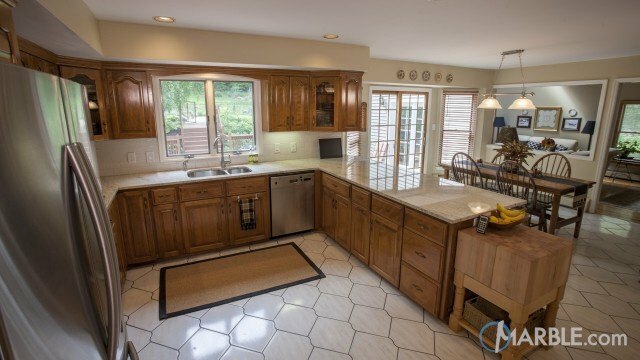 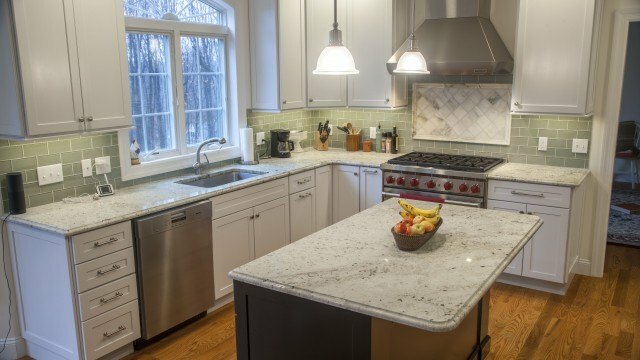 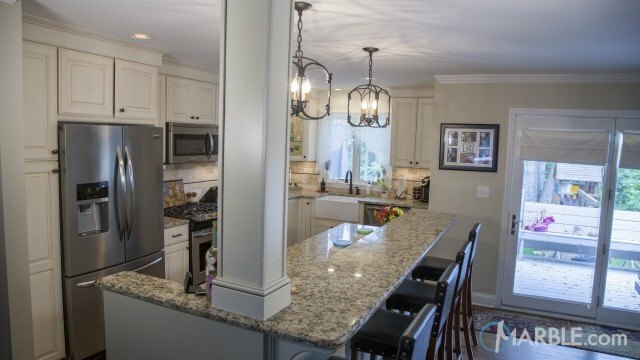 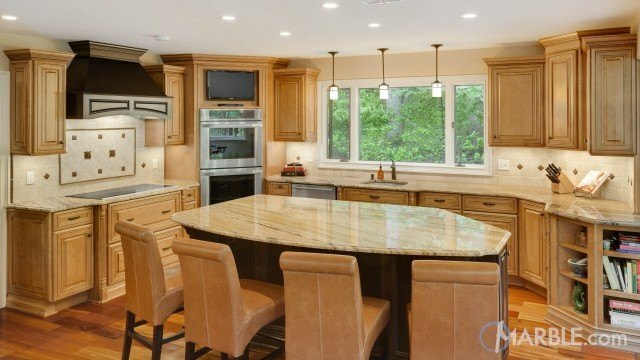 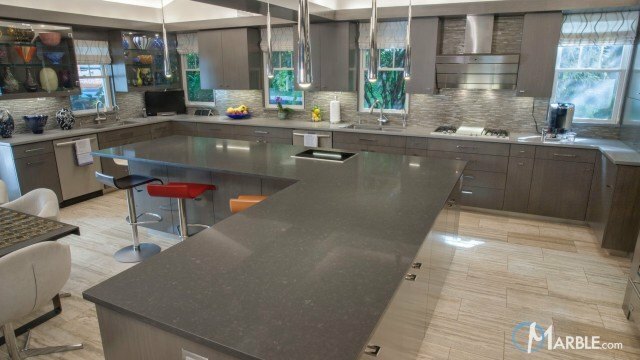 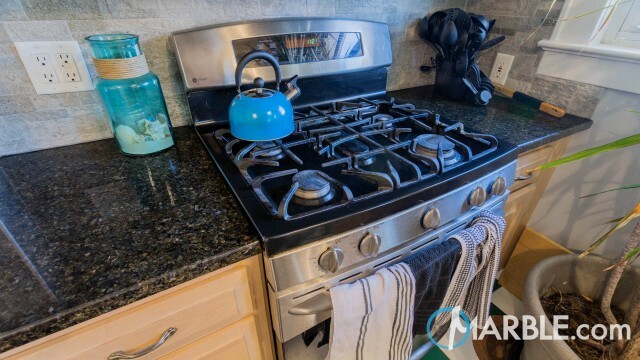 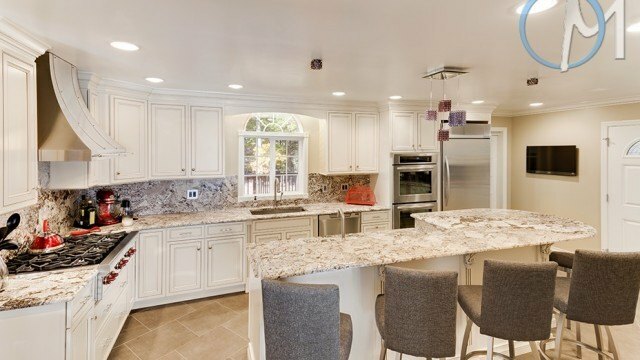 Utilizing the island as both a work station and an eating area allows for maximum functionality and a great way to keep close interactions with your dinning guests. 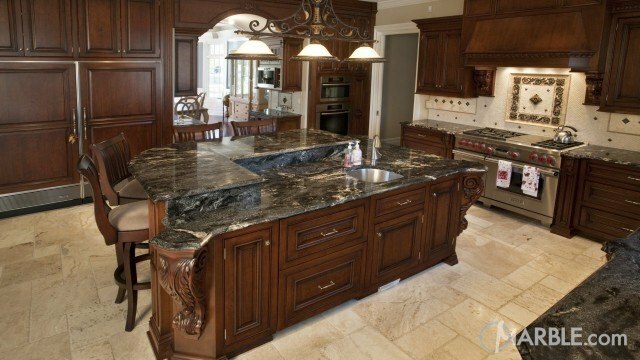 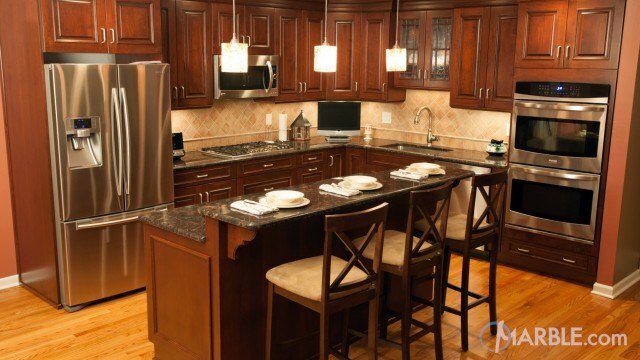 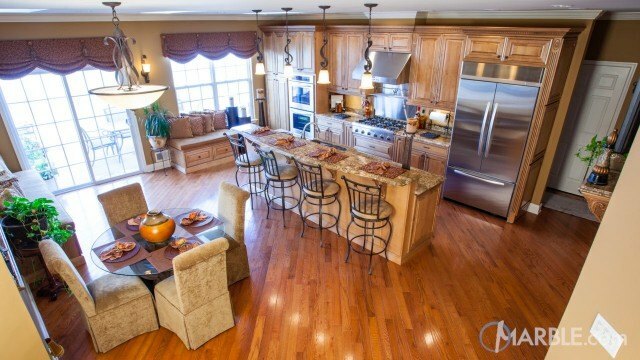 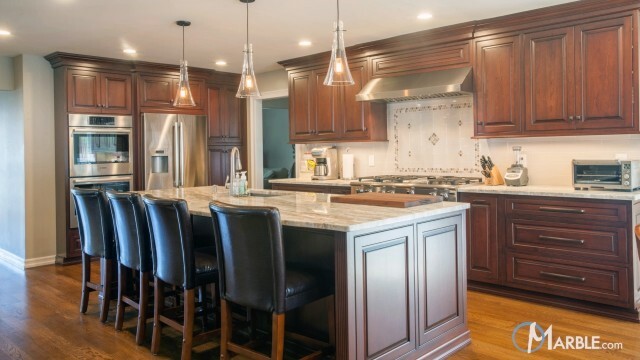 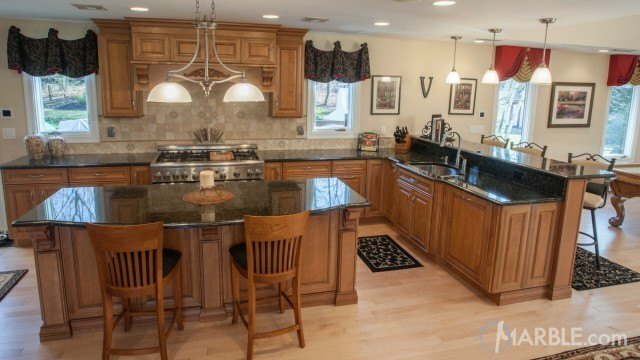 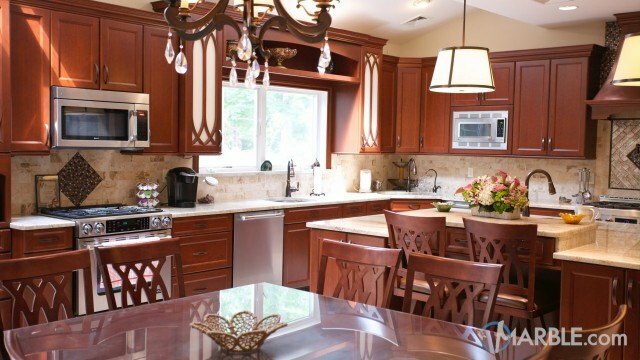 The use of the darker wood on the kitchen island adds contrast and life to this beautiful kitchen.